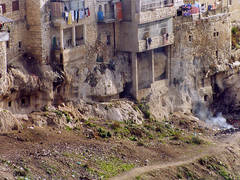 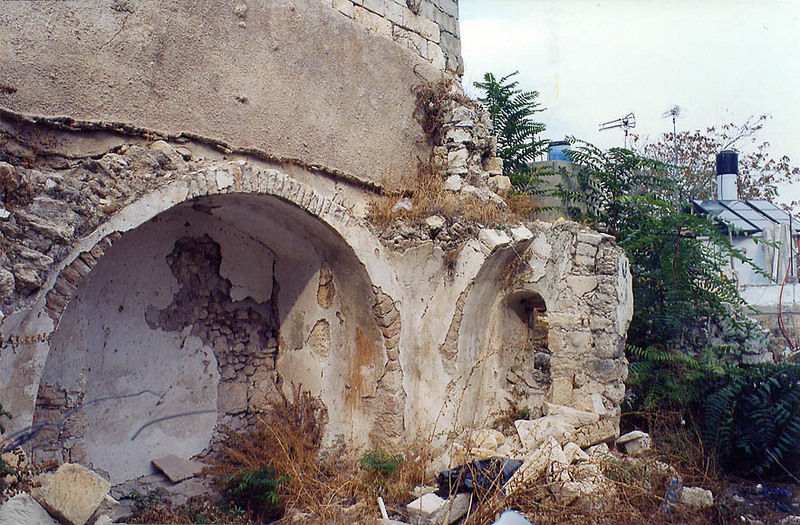 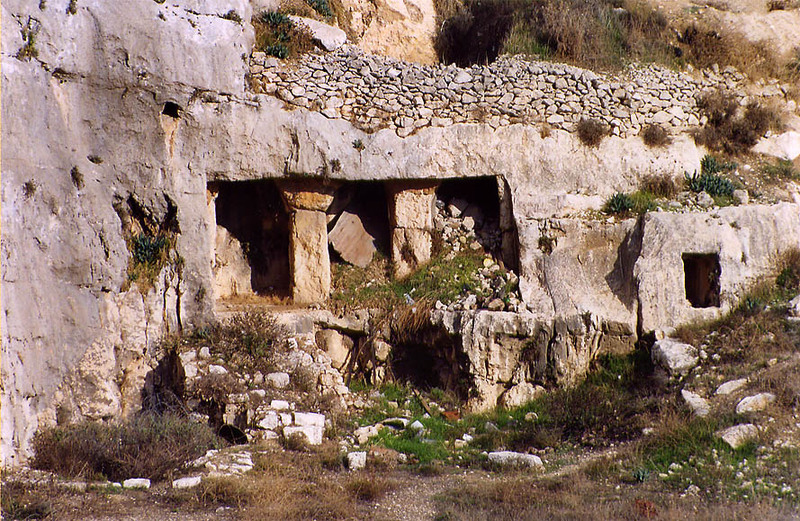 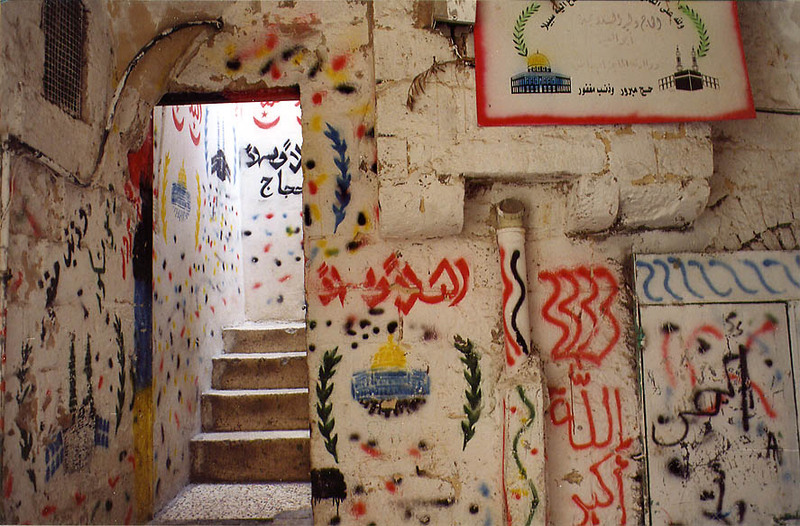 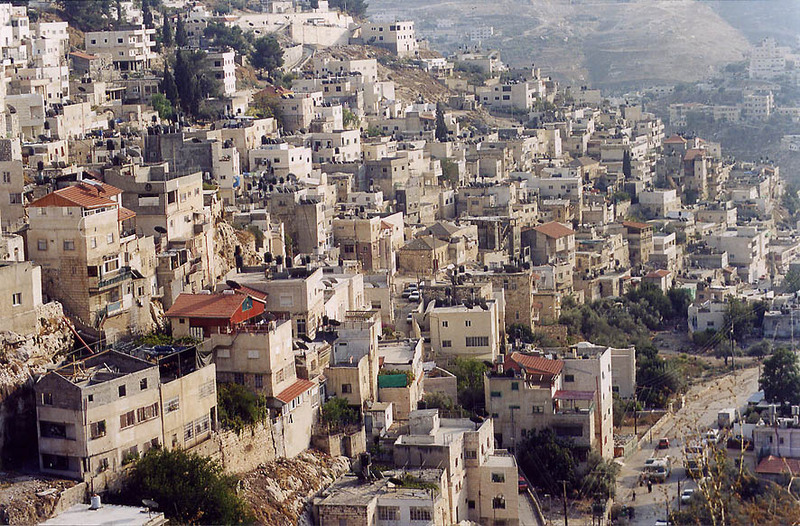 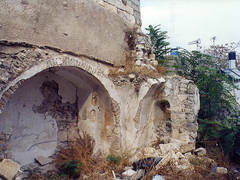 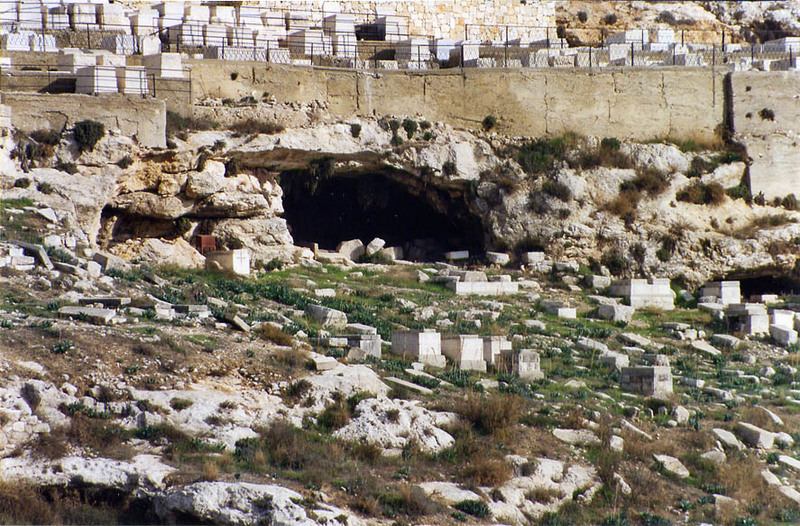 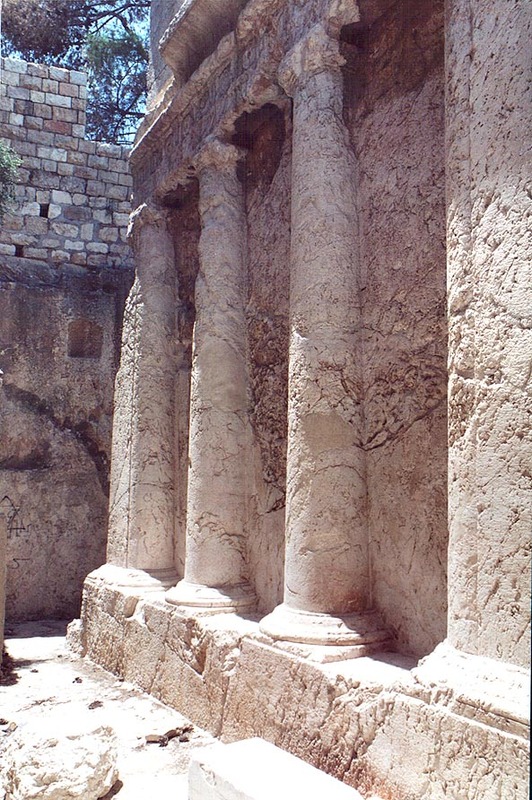 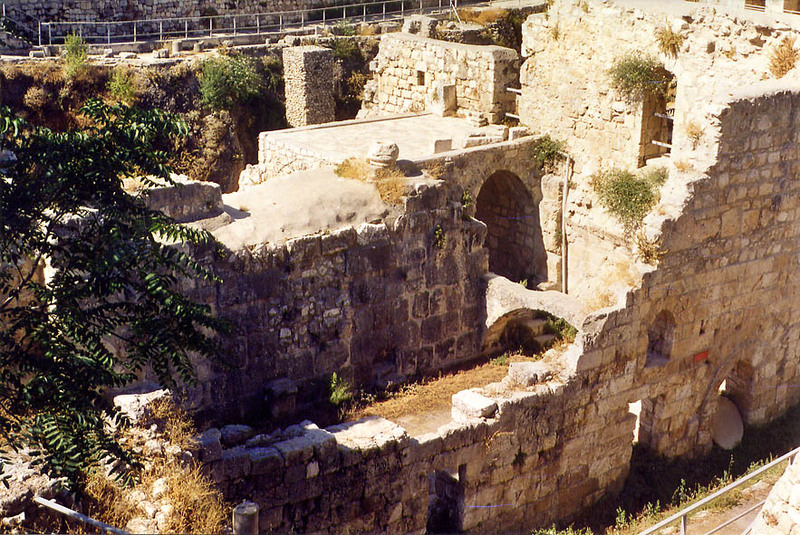 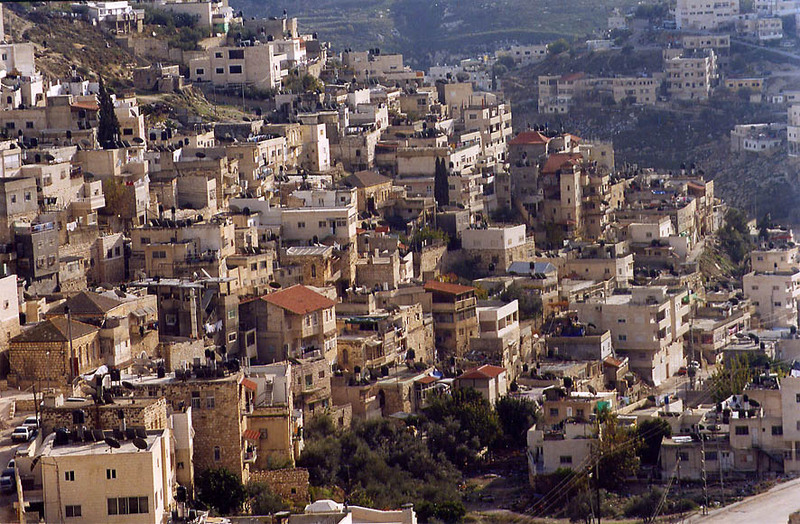 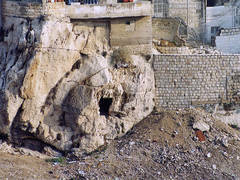 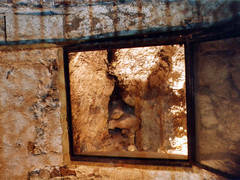 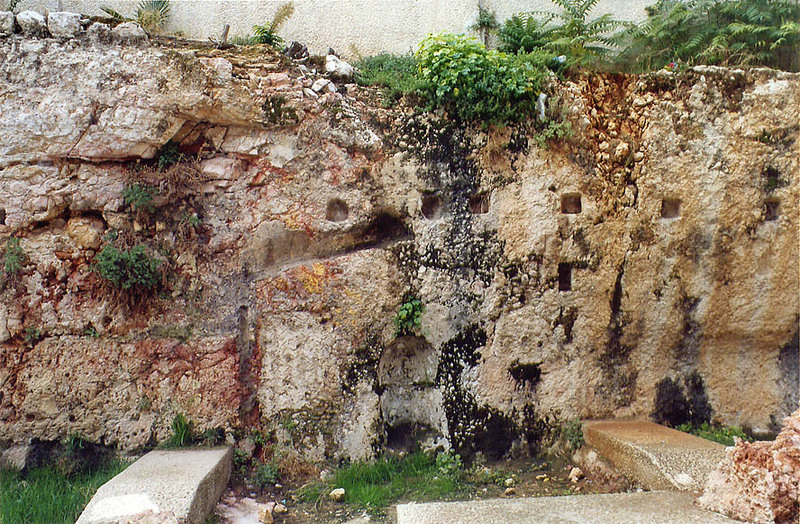 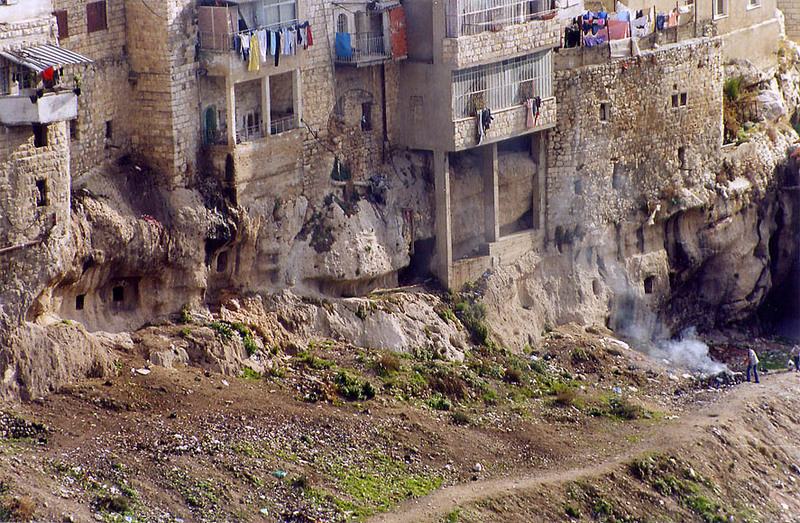 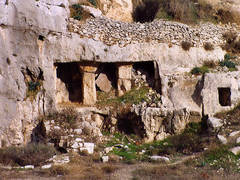 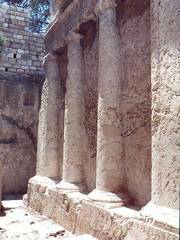 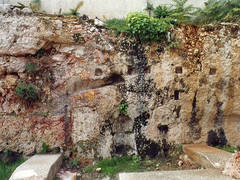 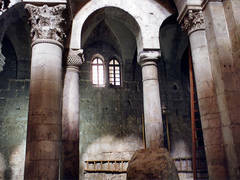 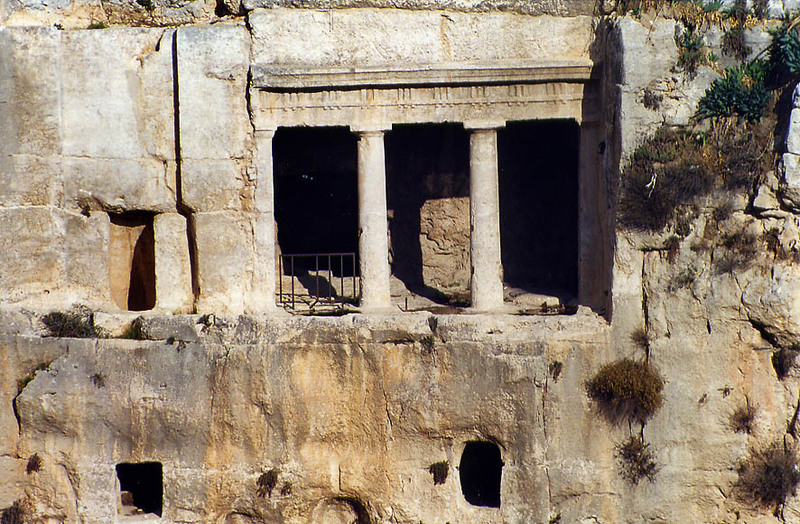 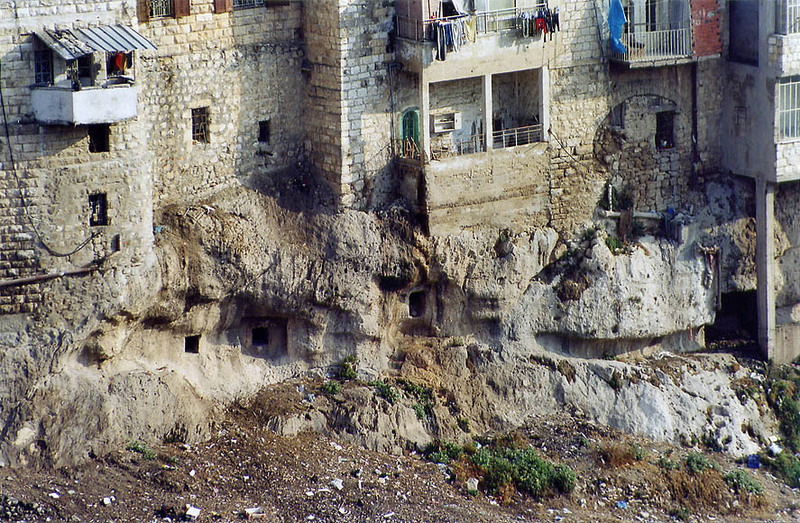 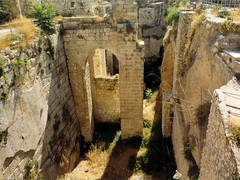 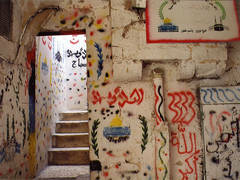 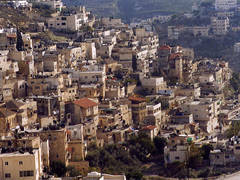 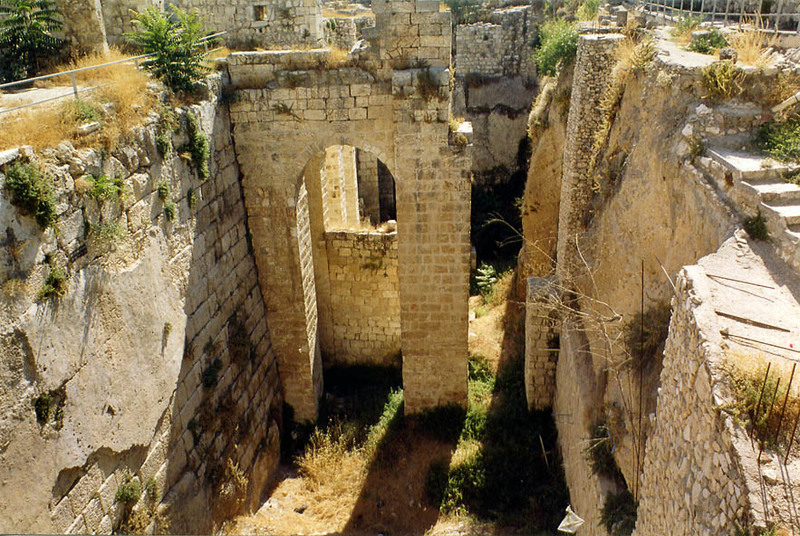 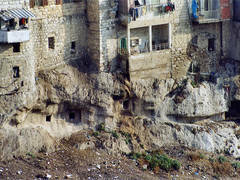 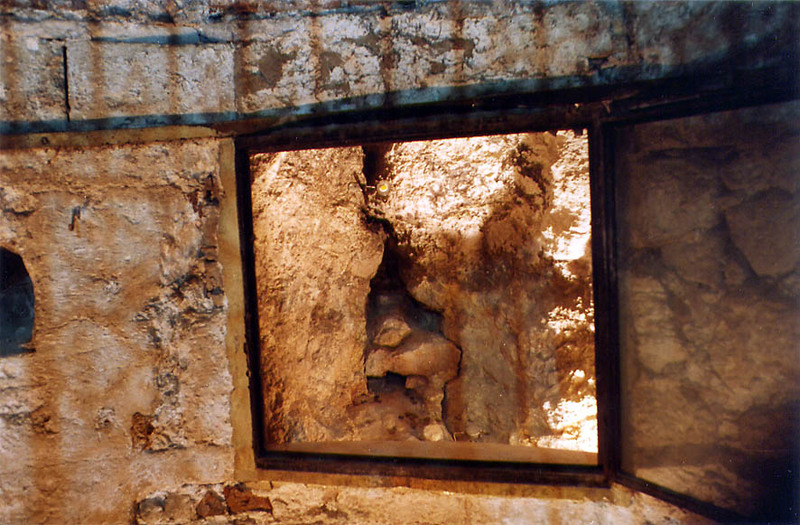 Ancient burial chambers in basements of modern houses of Silwan (Kefar Ha-Shiloah) village in Kidron Valley, view from Derekh Ha Ofel road. 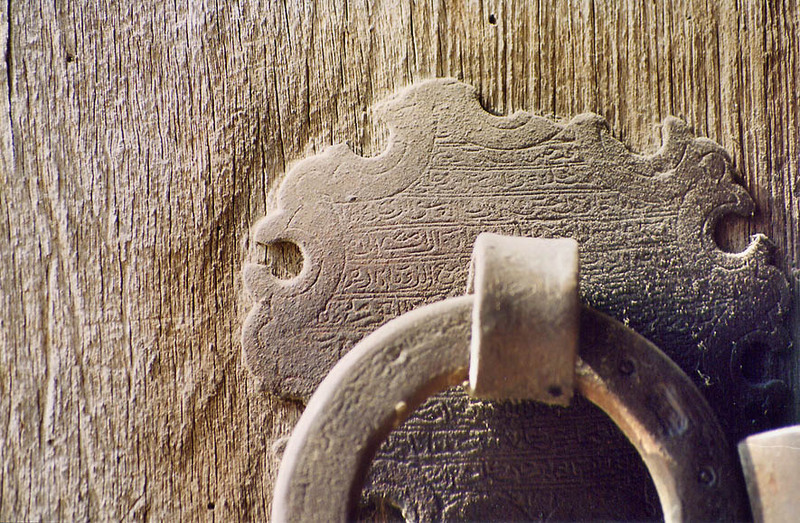 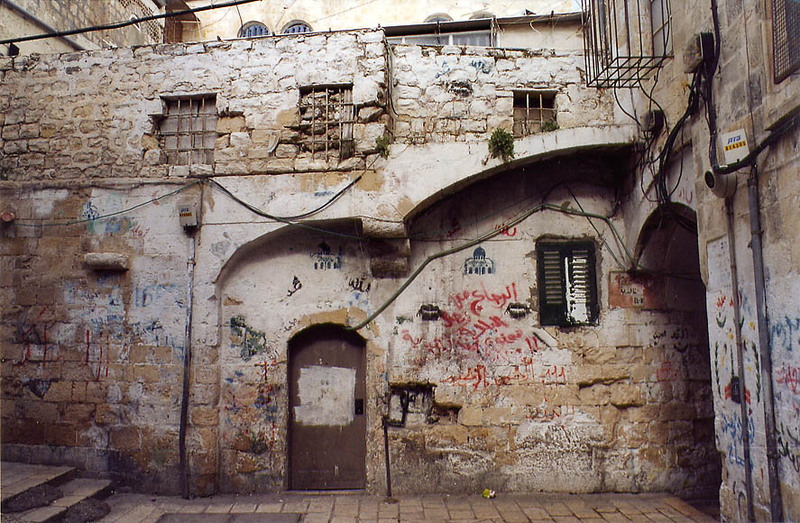 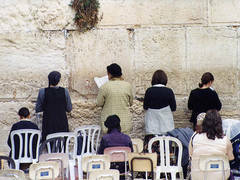 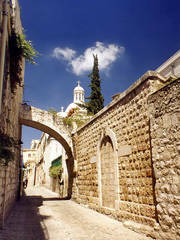 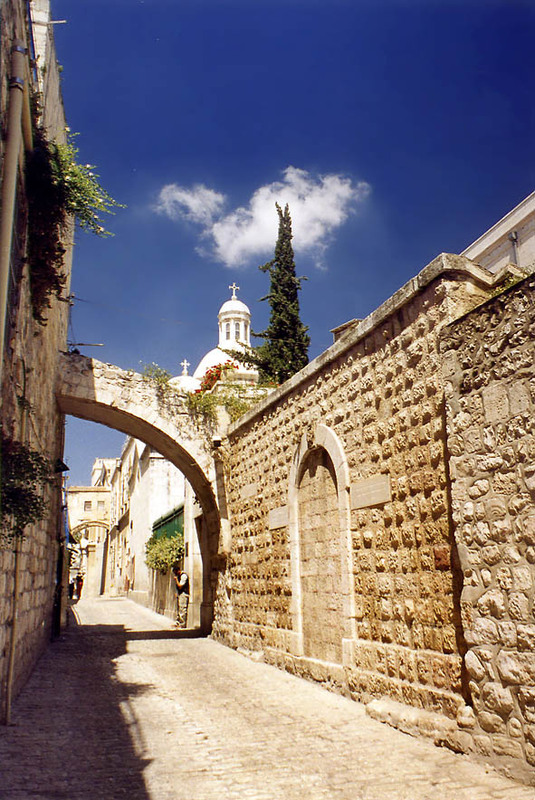 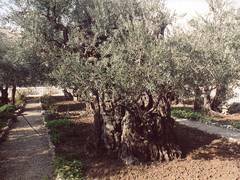 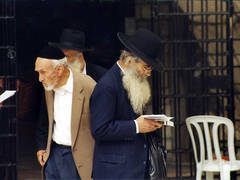 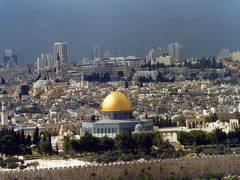 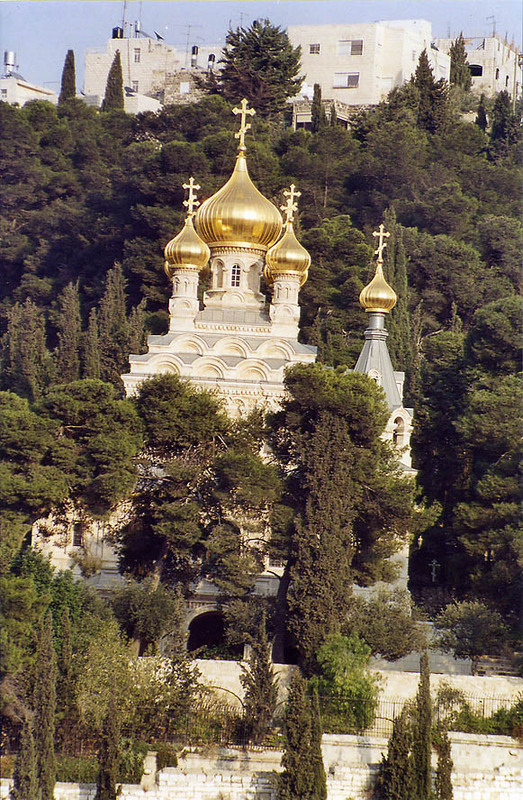 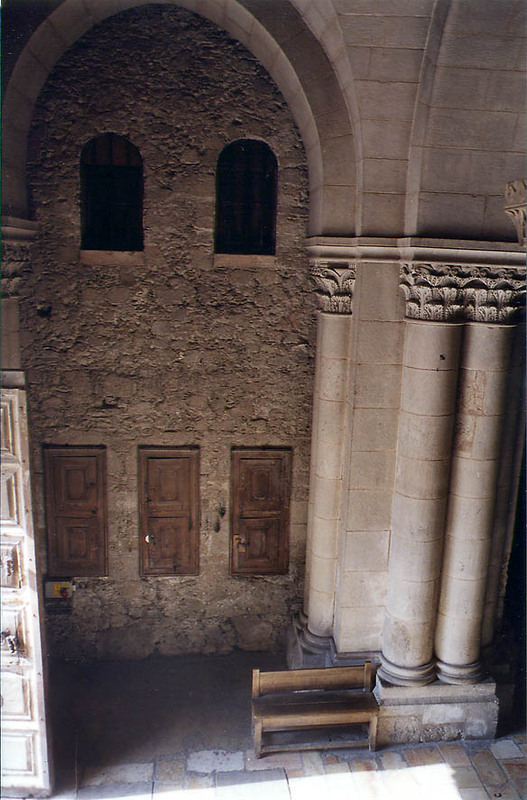 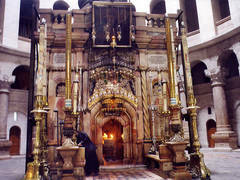 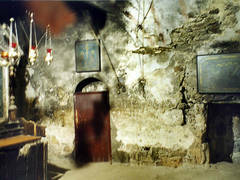 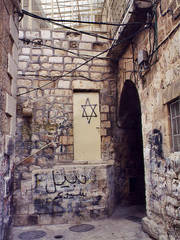 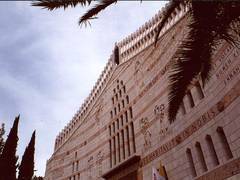 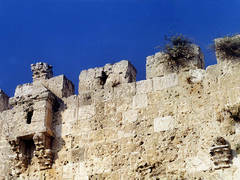 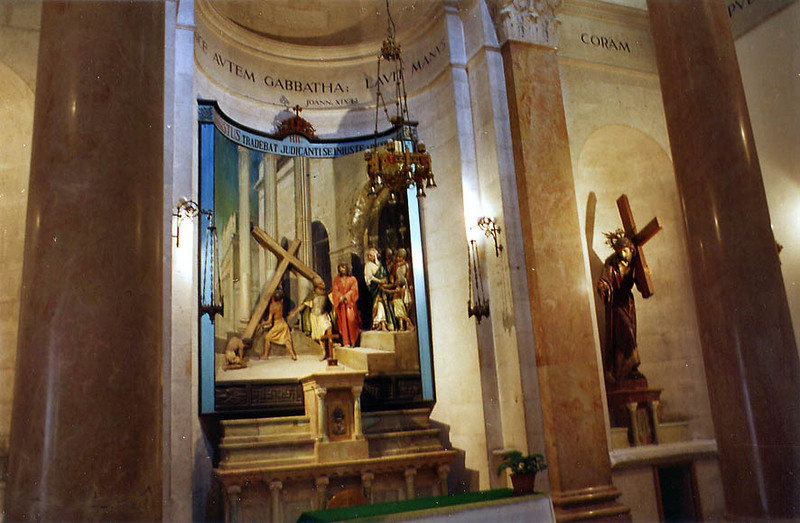 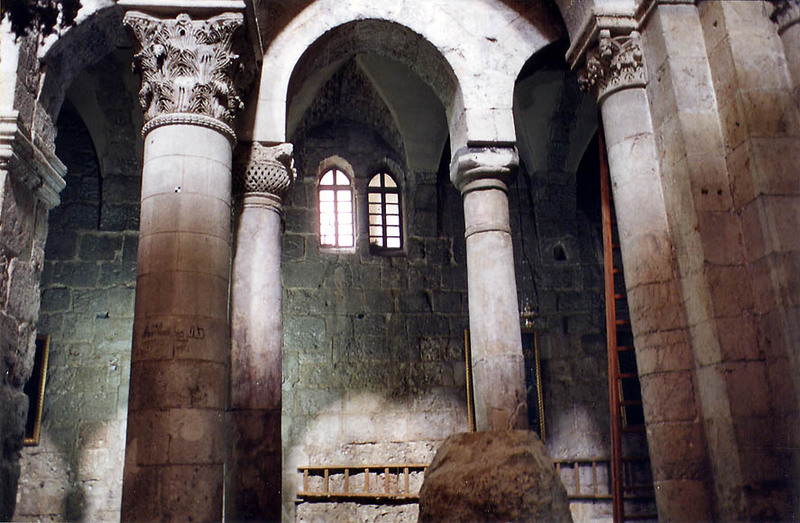 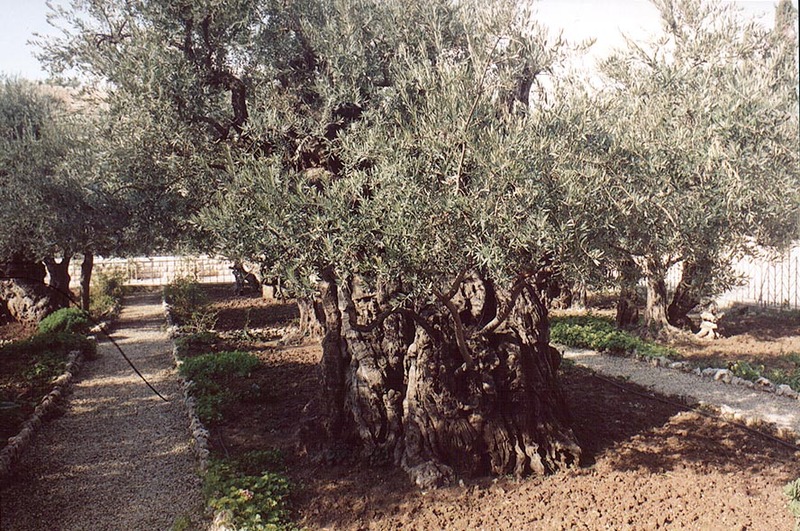 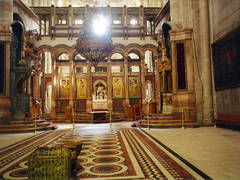 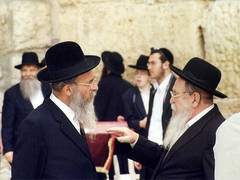 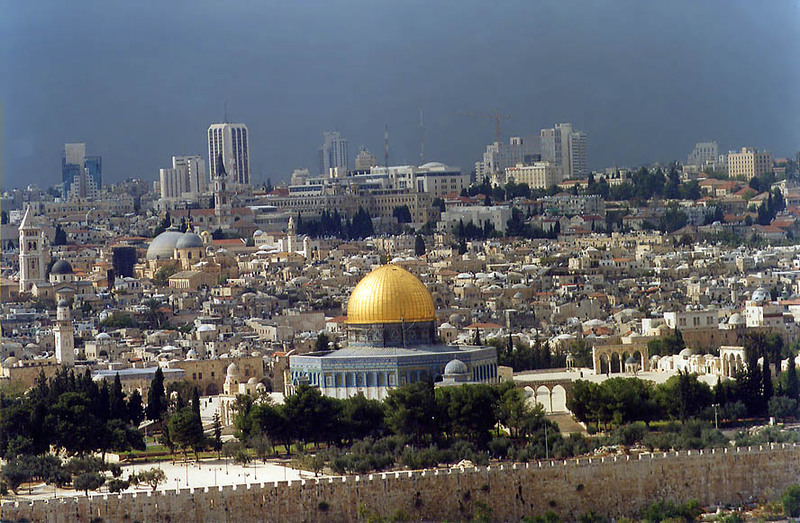 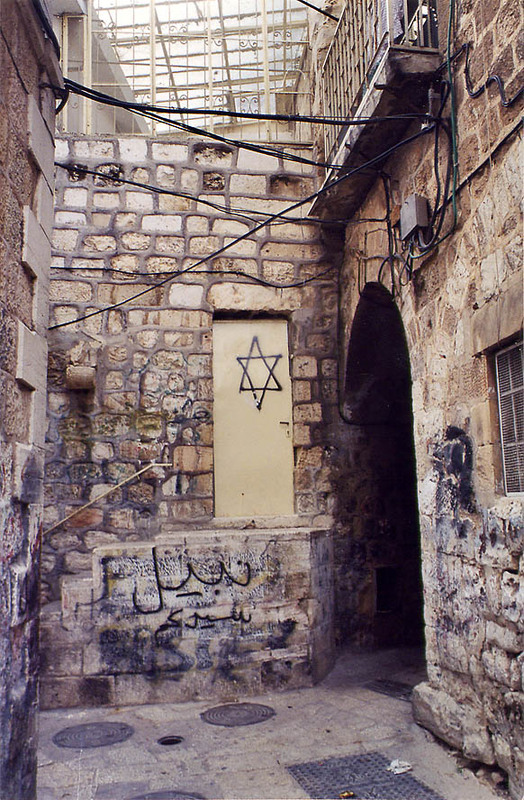 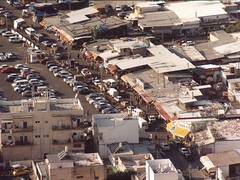 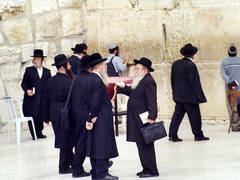 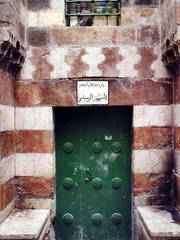 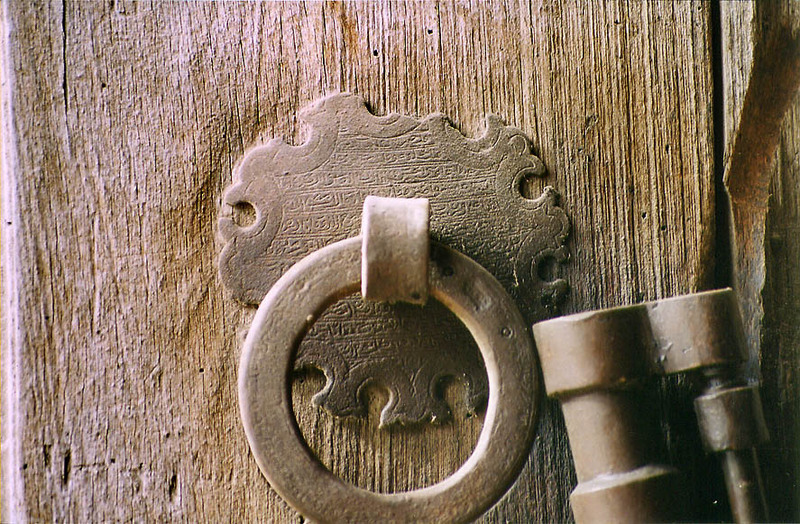 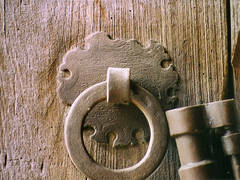 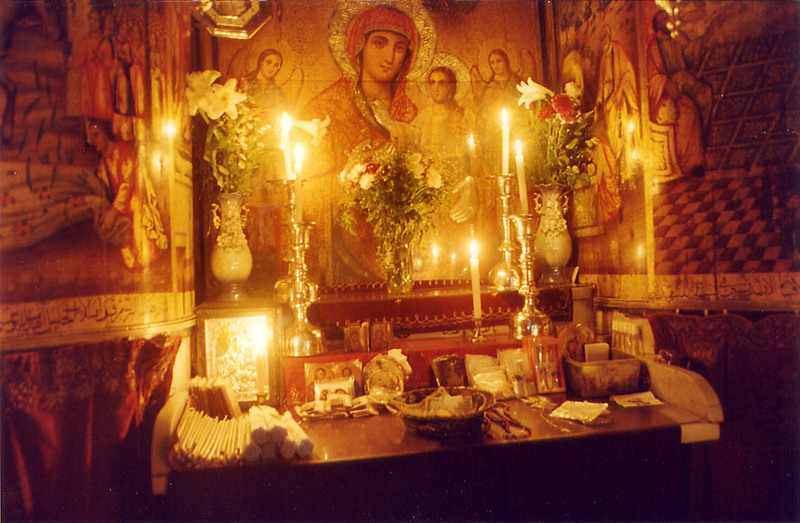 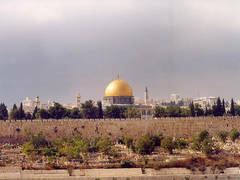 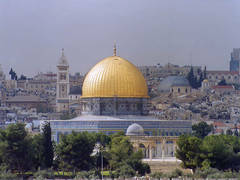 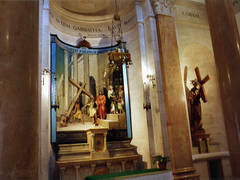 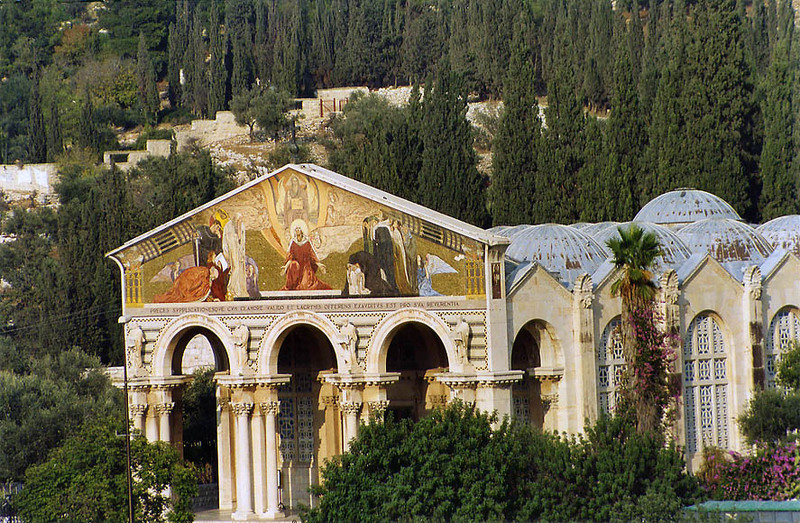 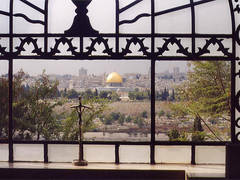 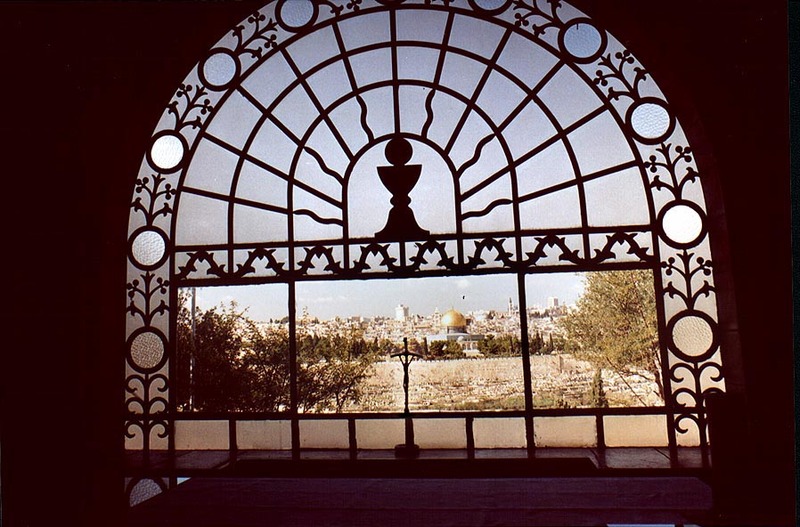 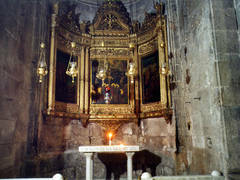 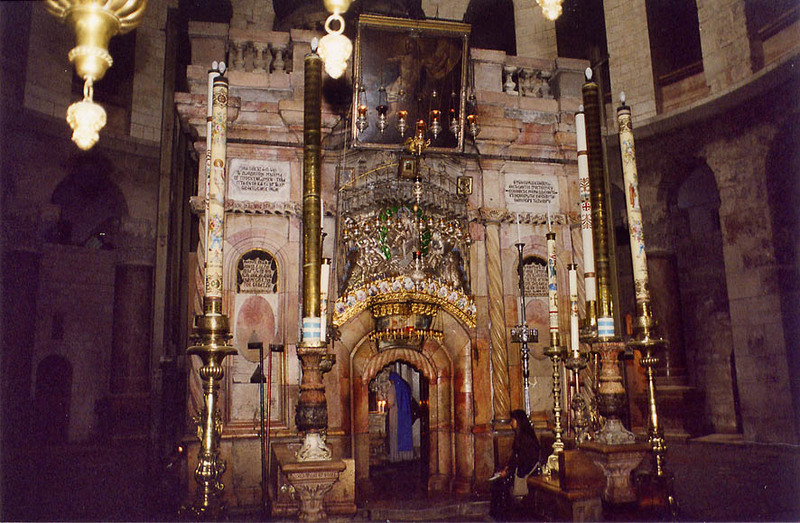 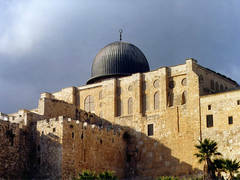 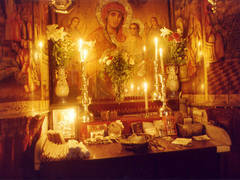 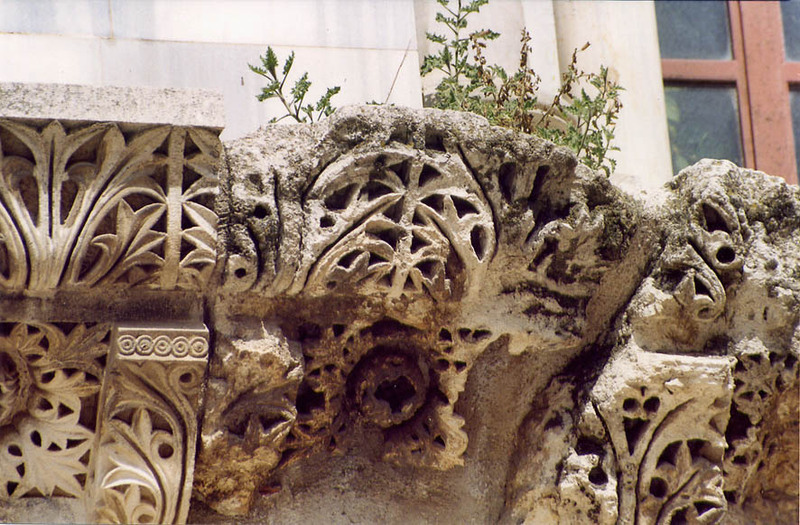 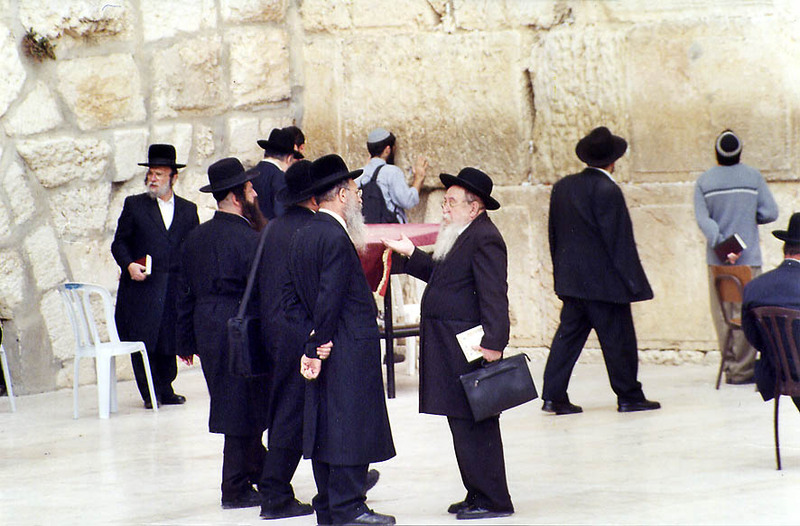 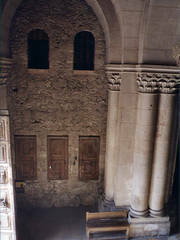 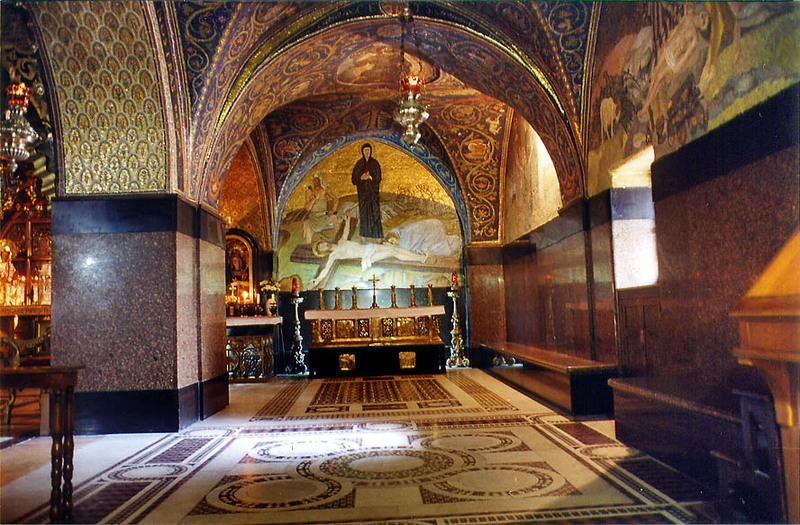 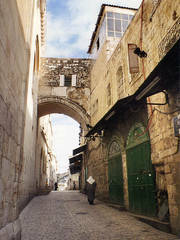 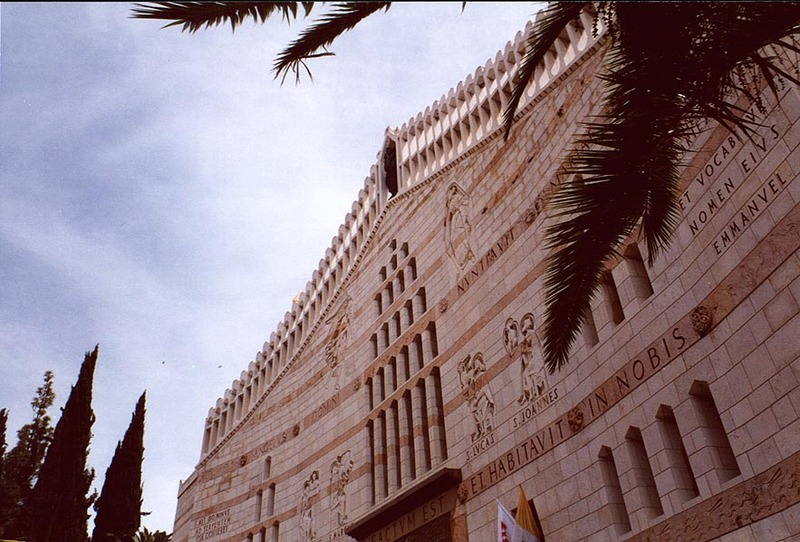 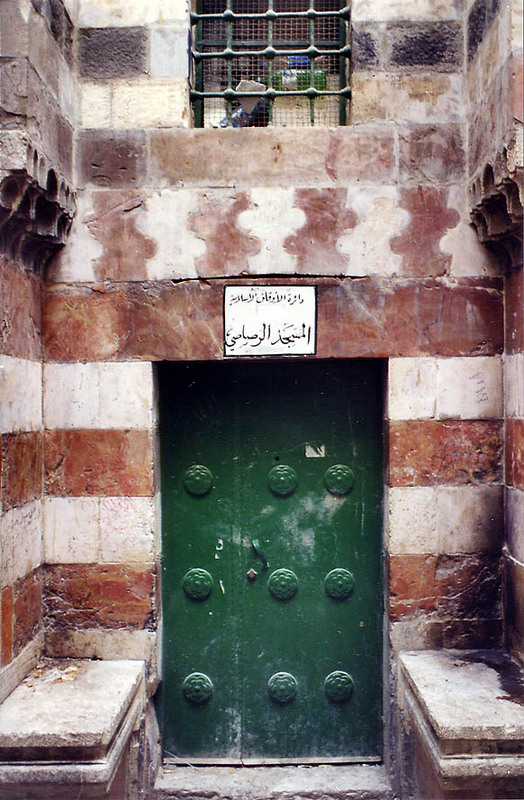 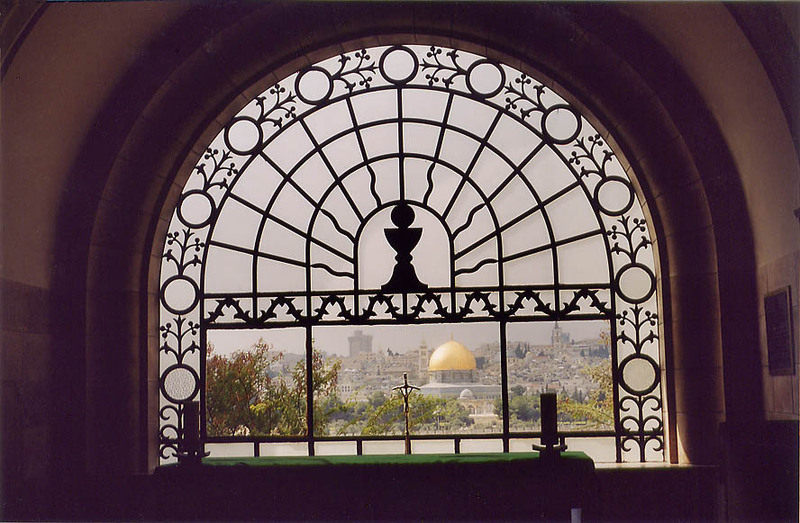 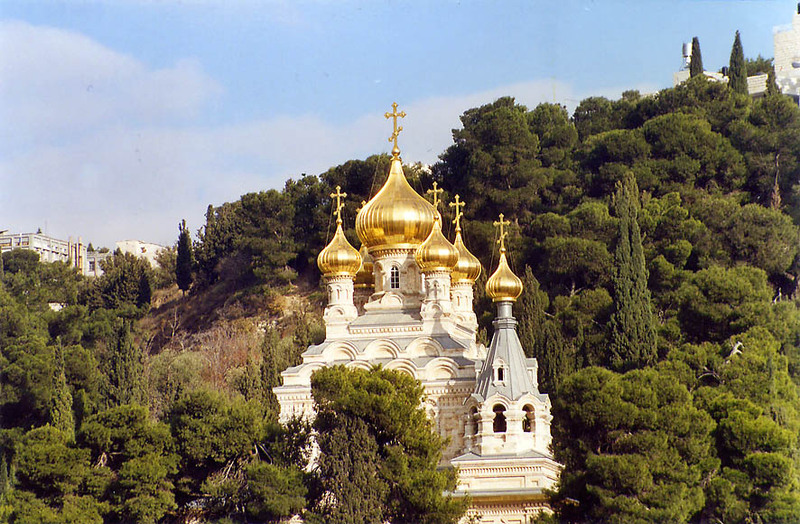 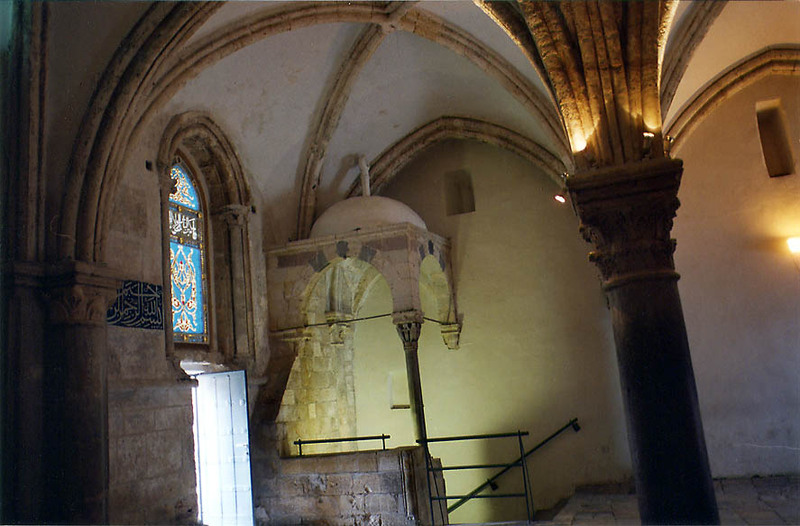 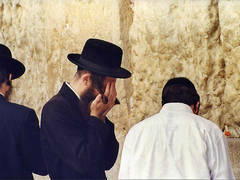 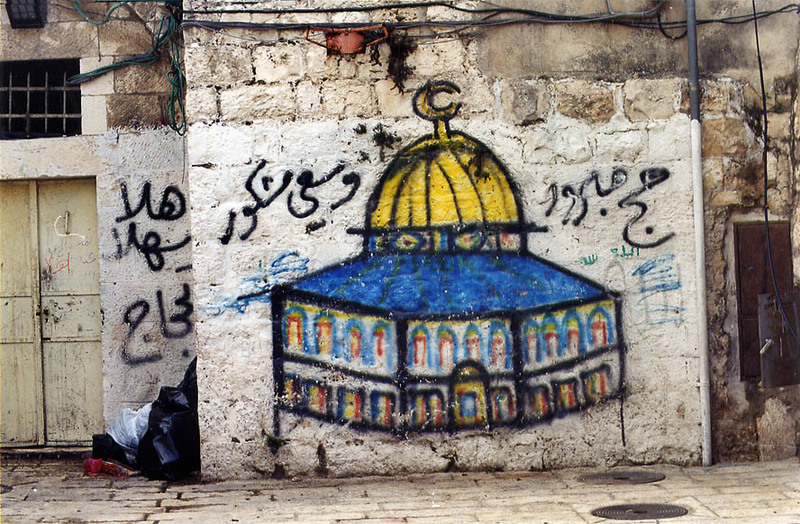 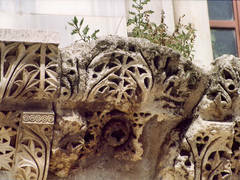 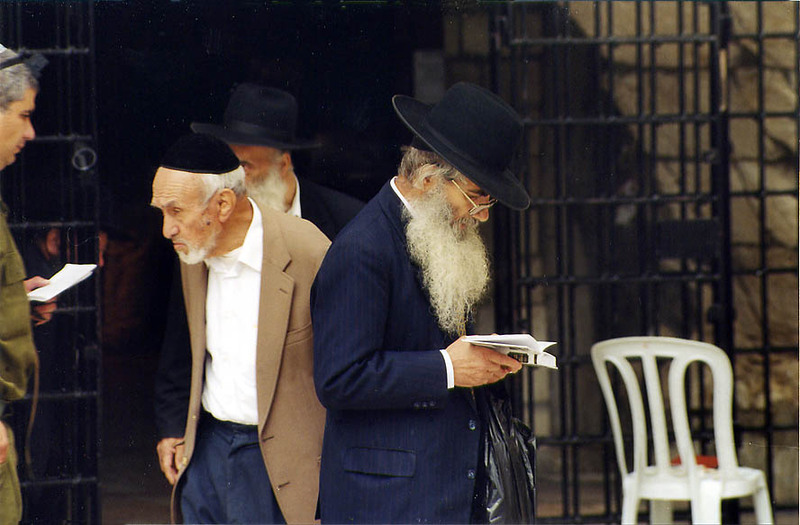 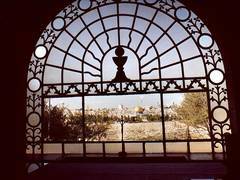 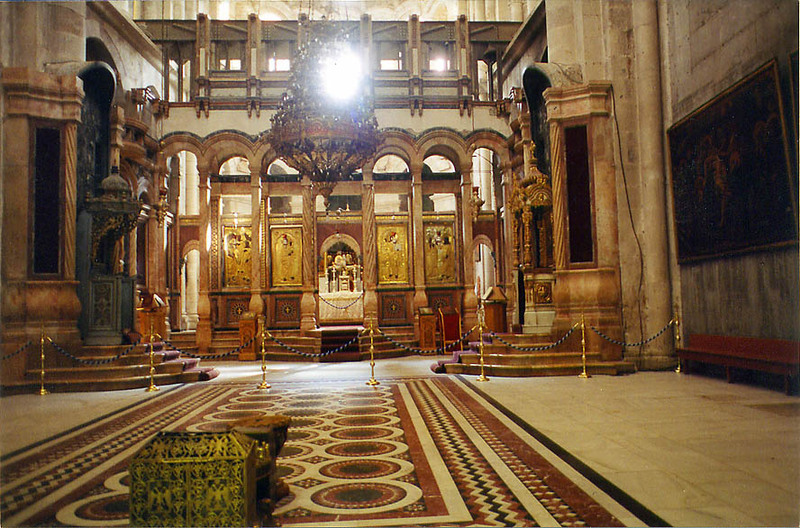 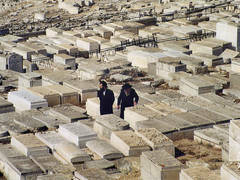 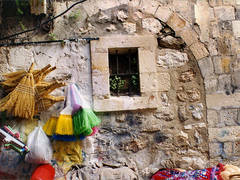 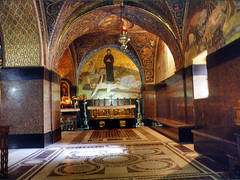 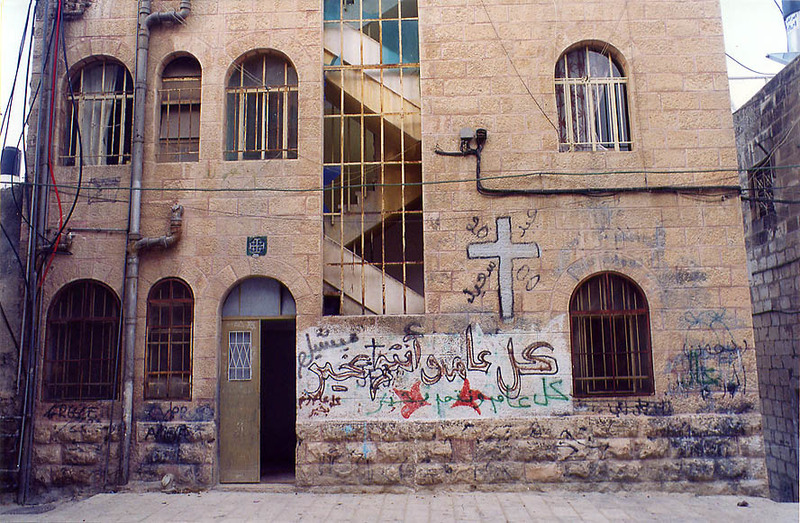 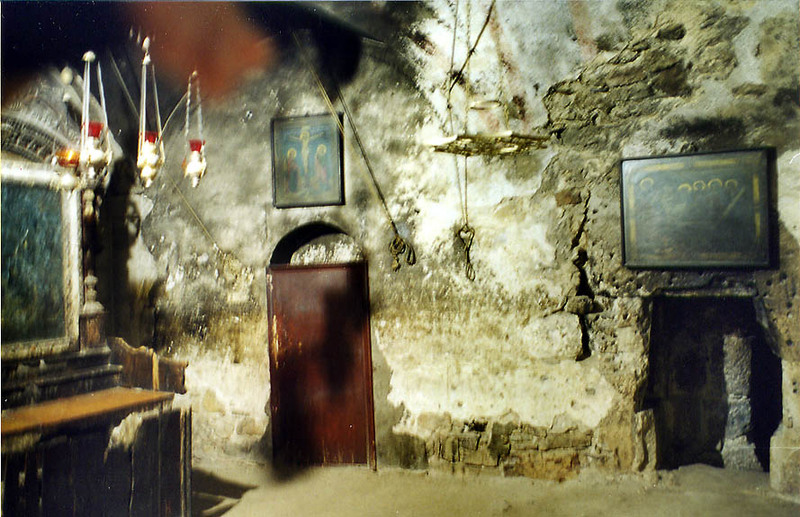 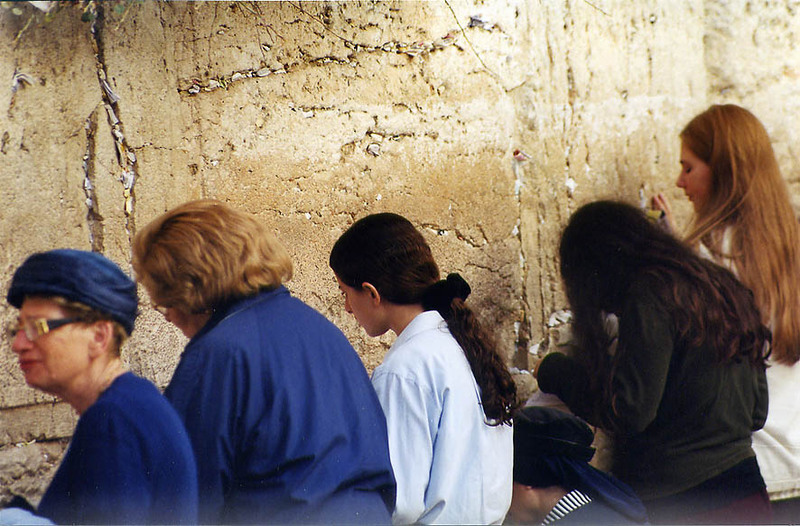 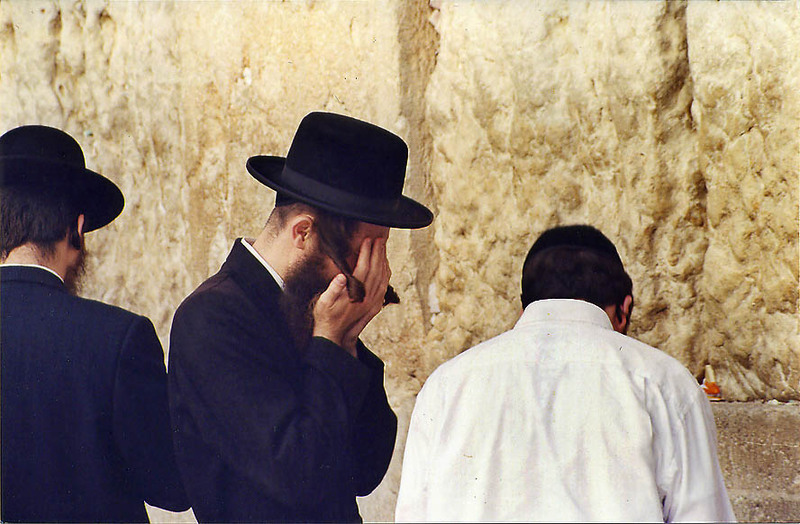 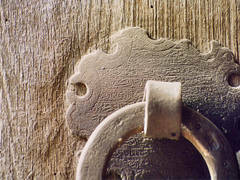 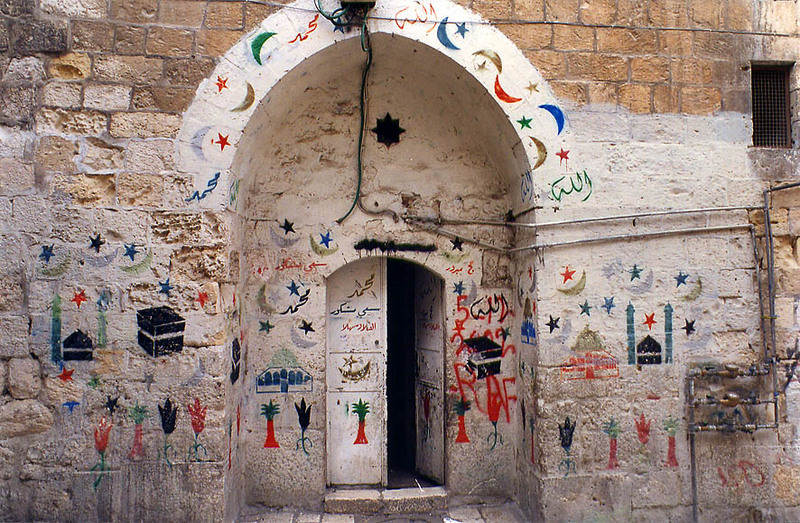 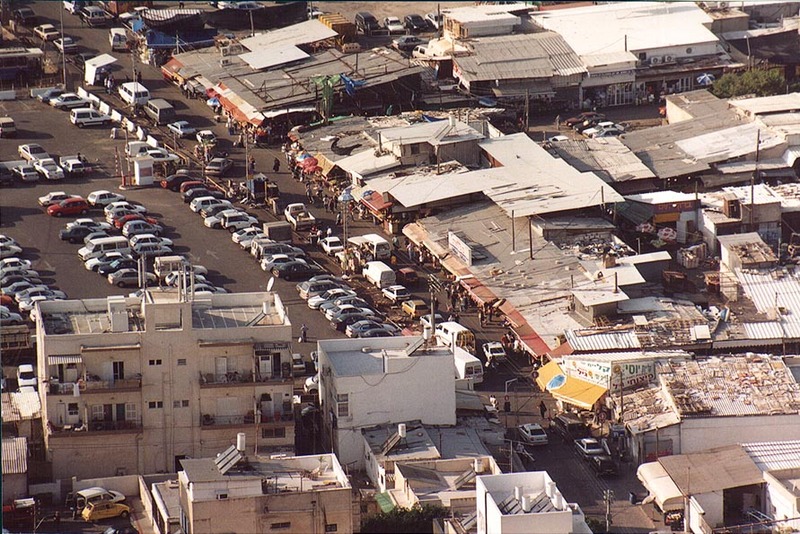 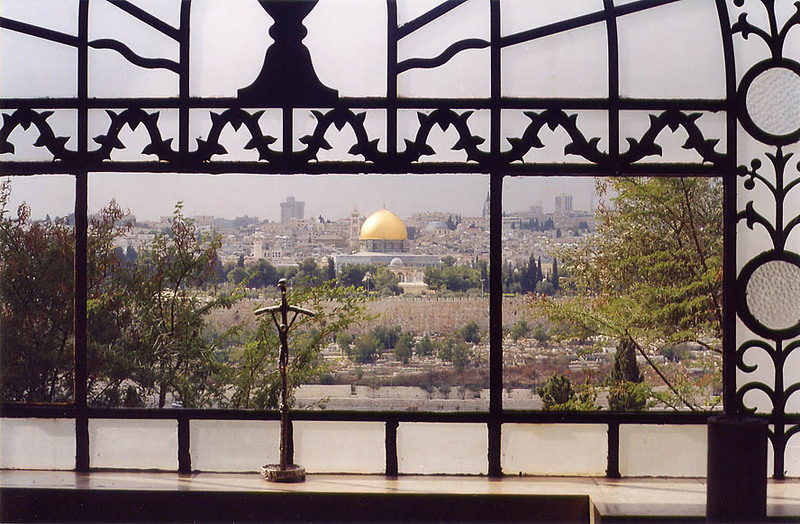 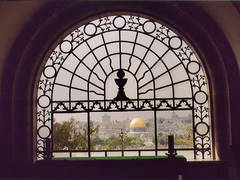 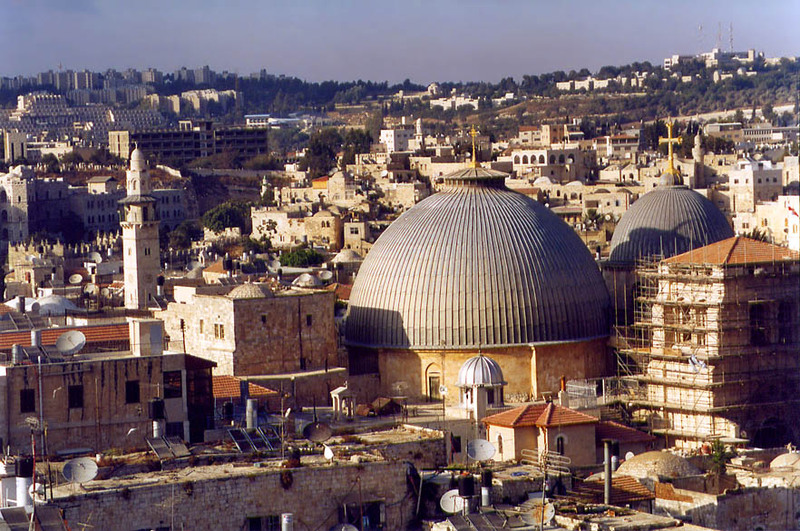 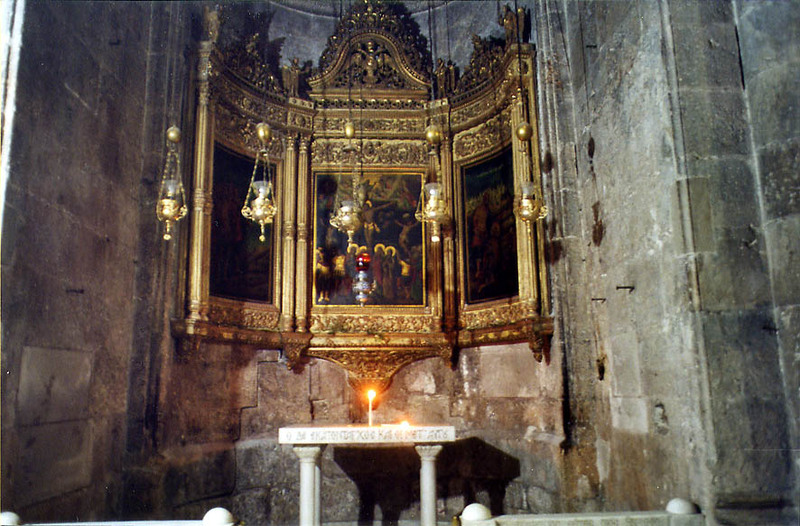 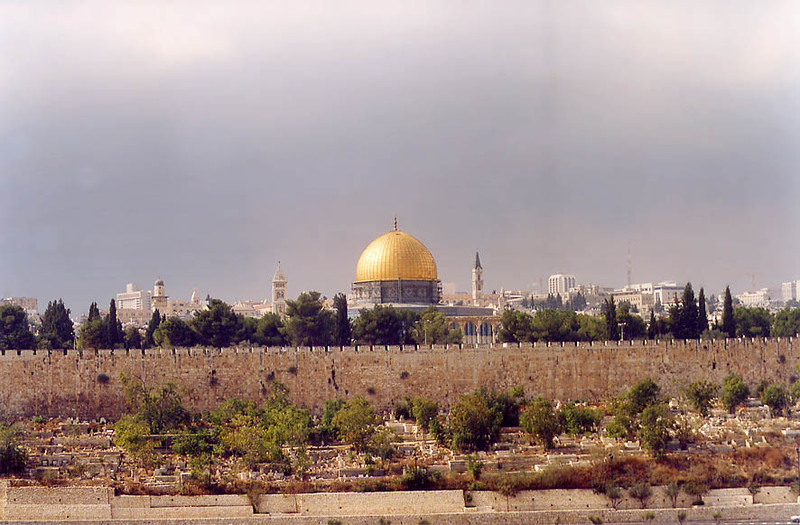 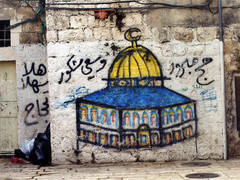 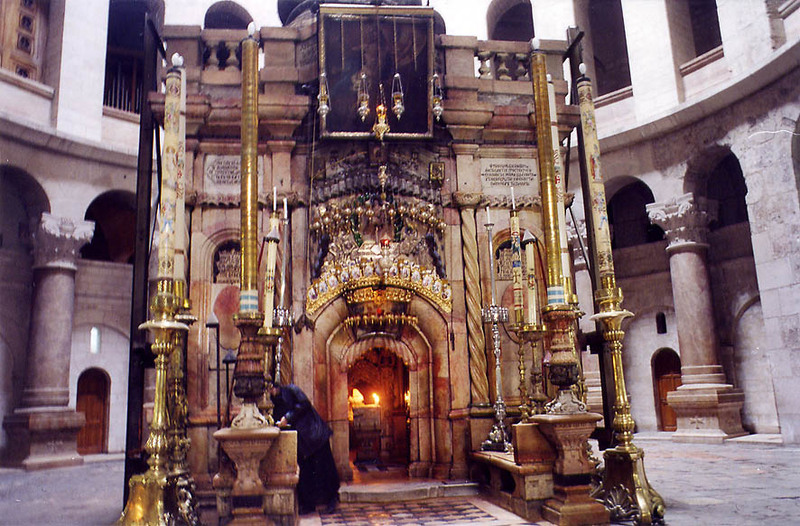 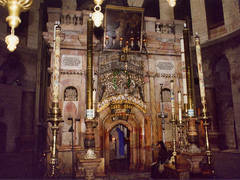 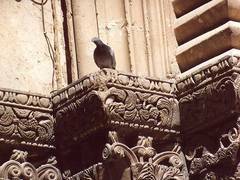 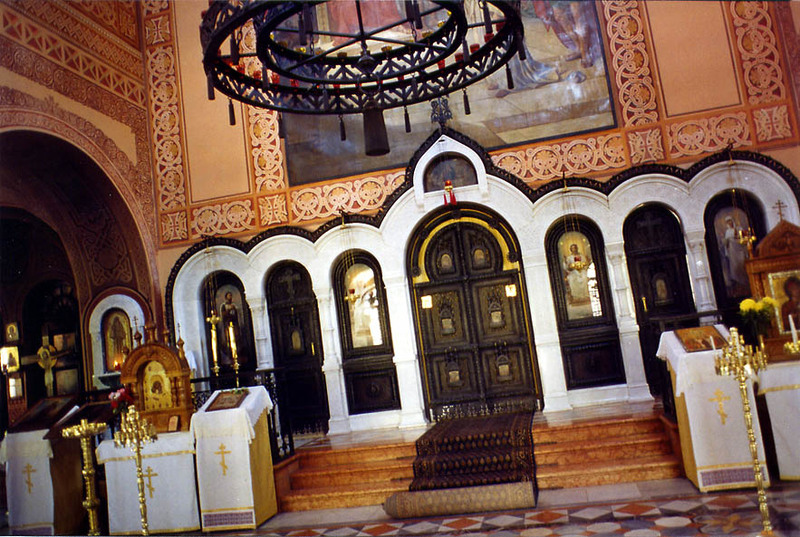 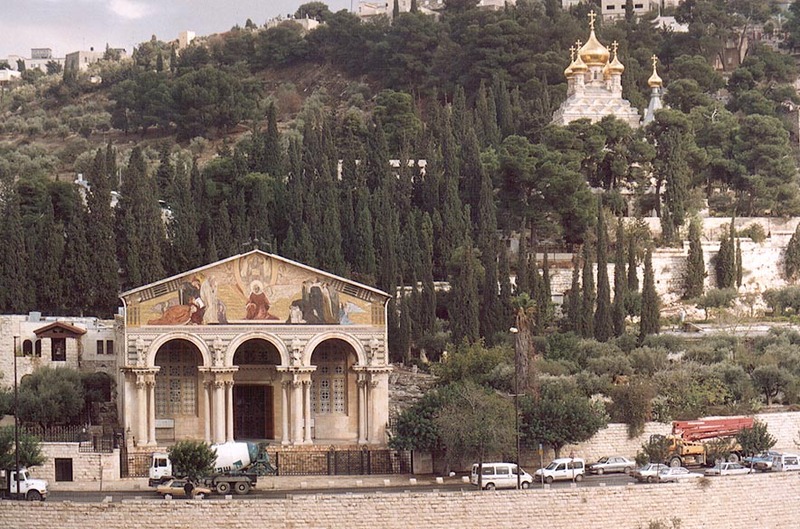 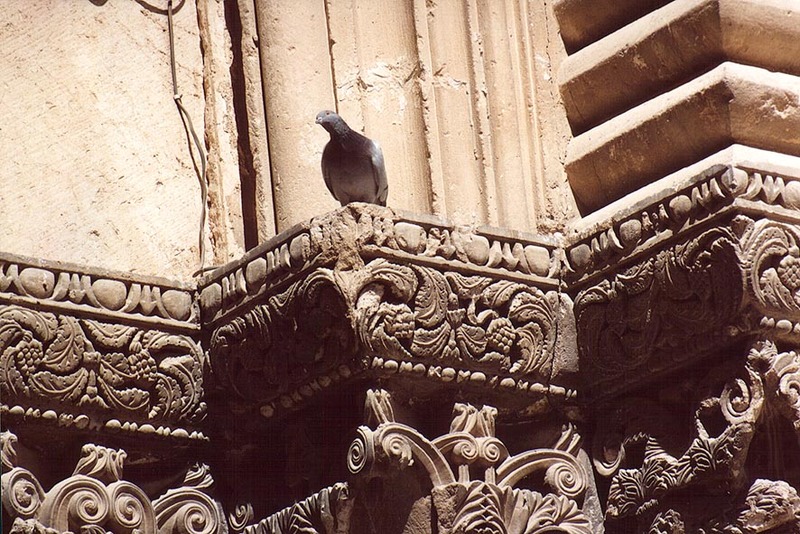 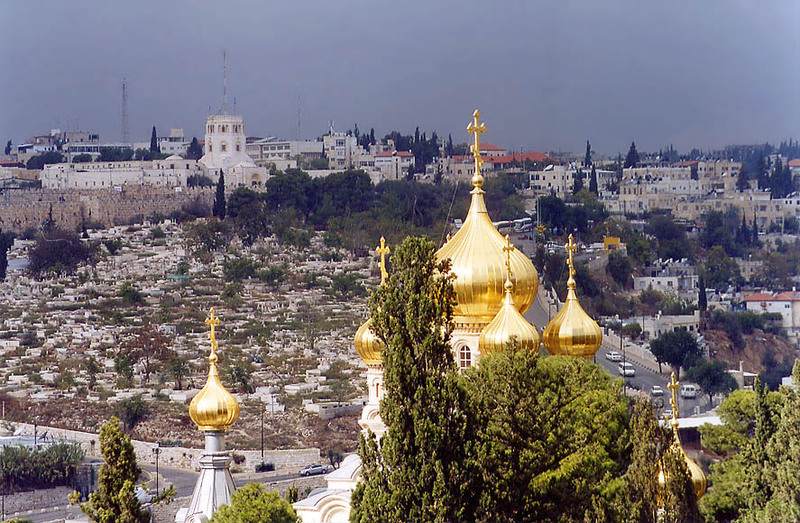 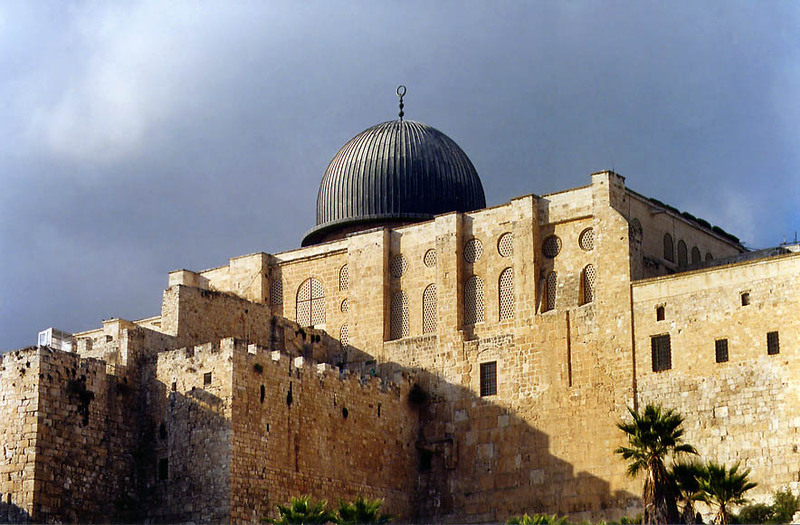 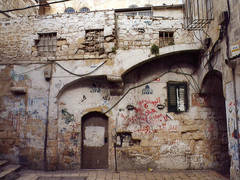 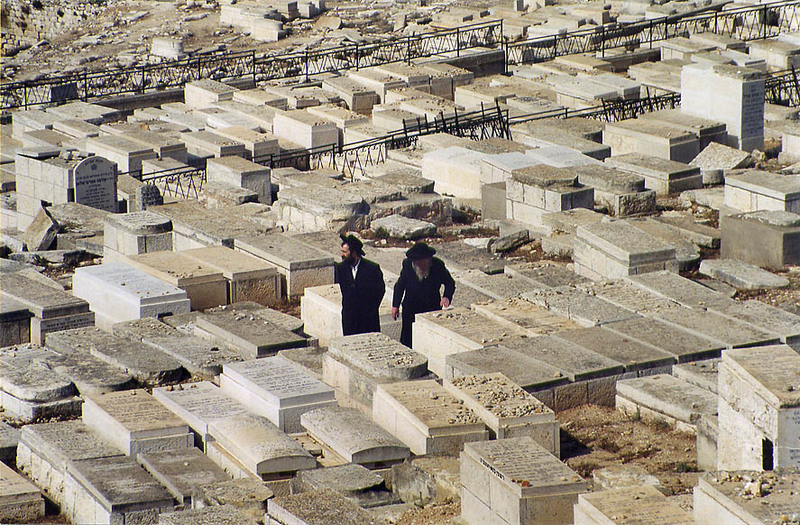 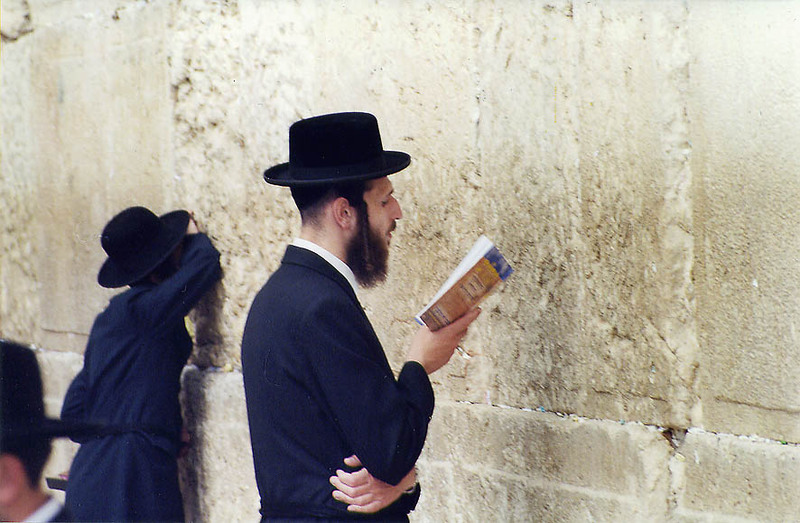 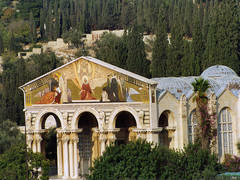 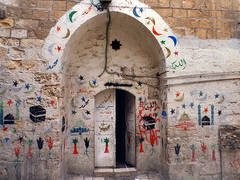 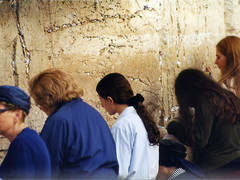 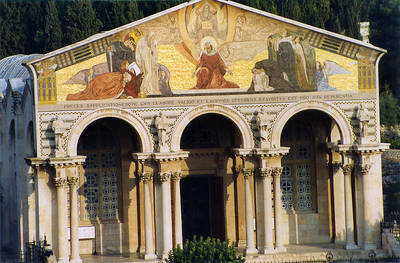 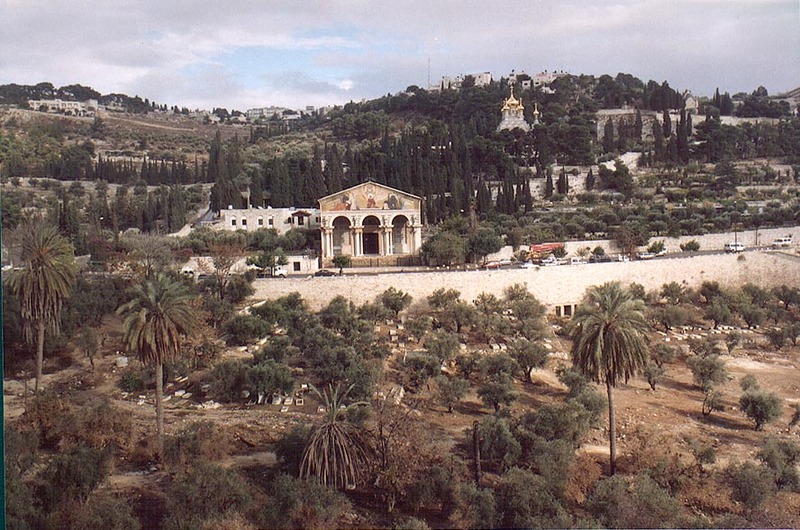 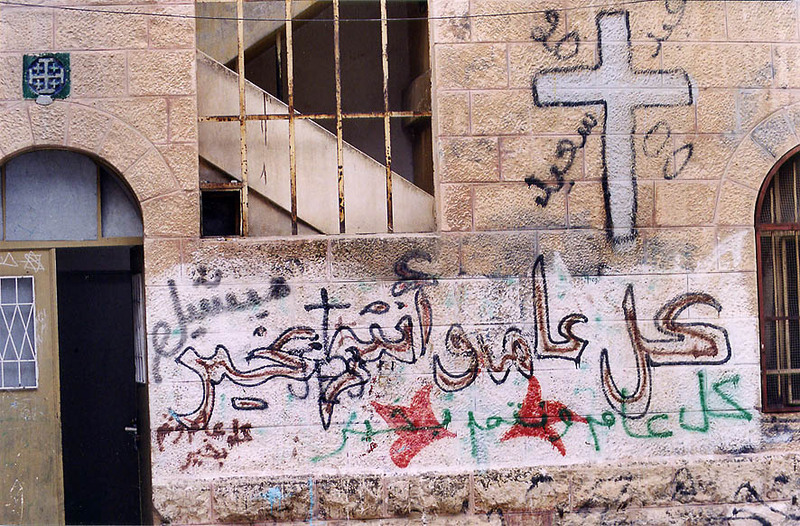 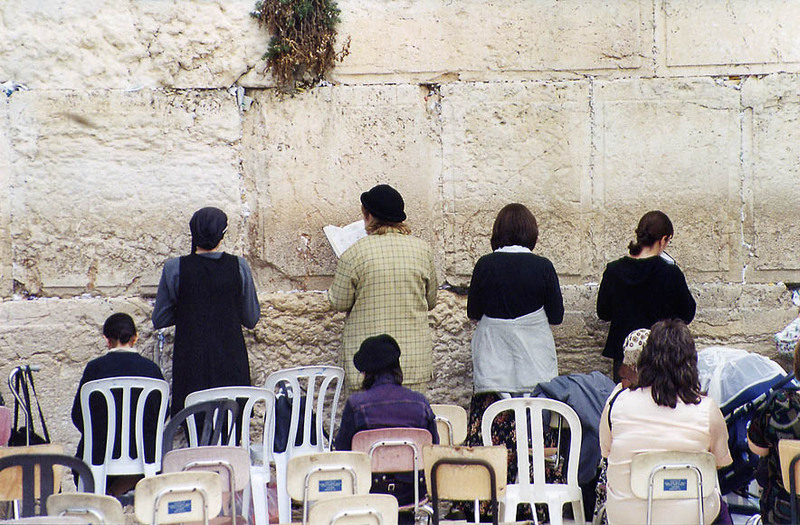 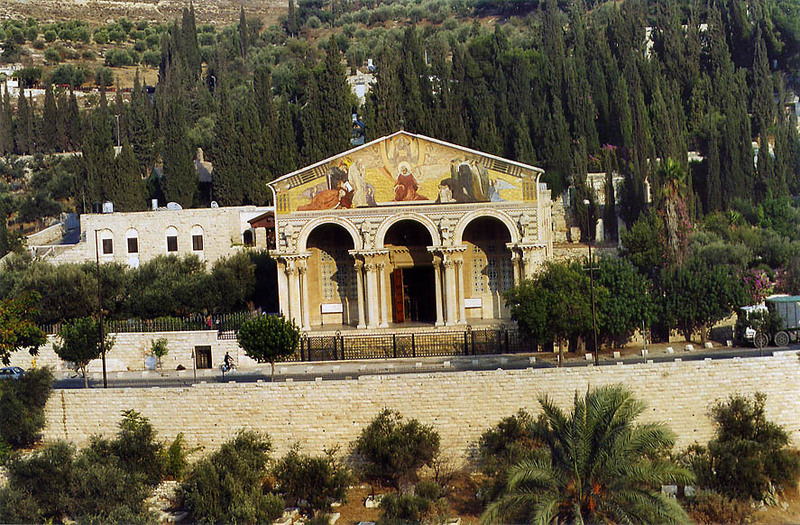 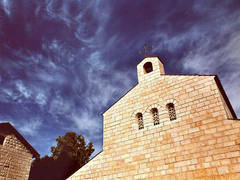 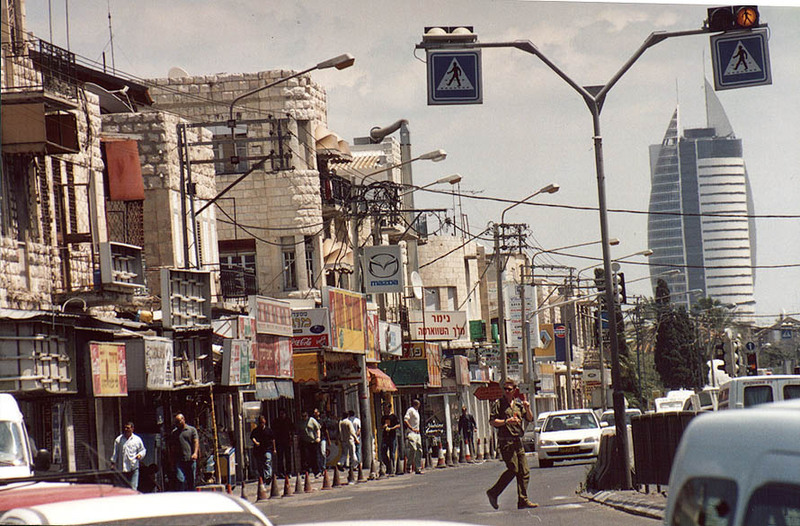 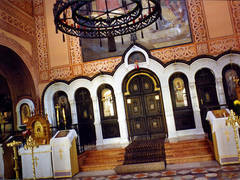 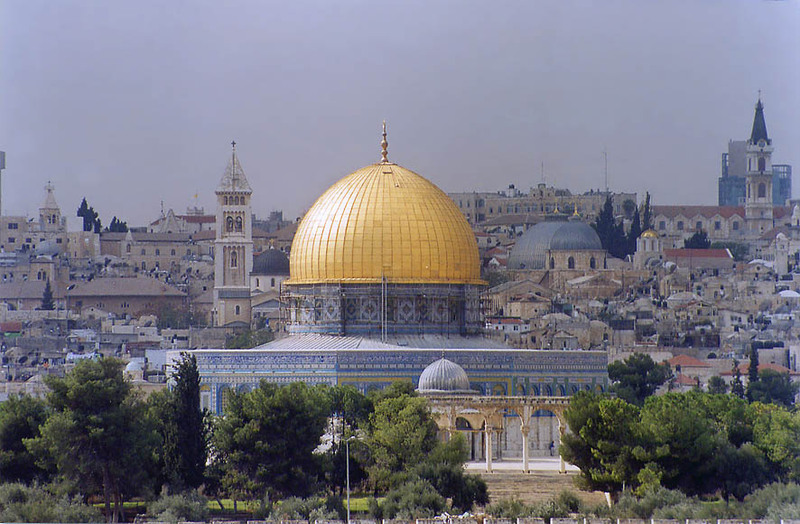 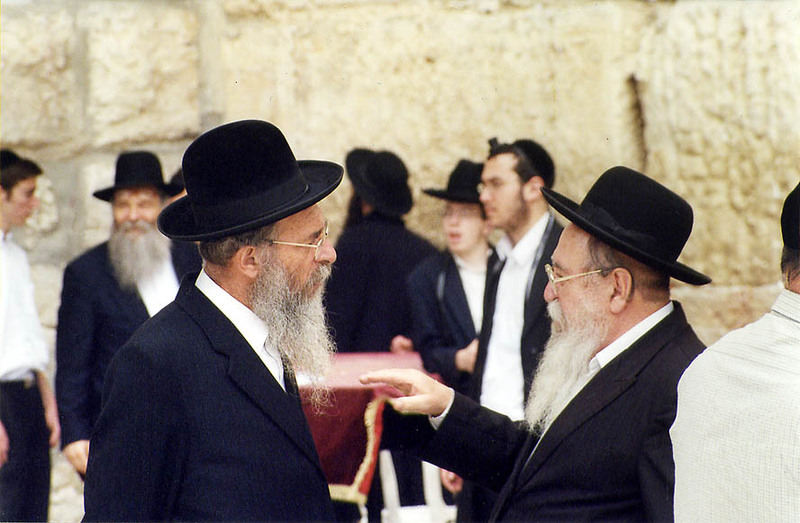 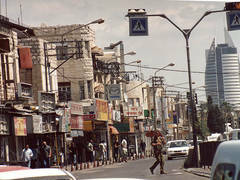 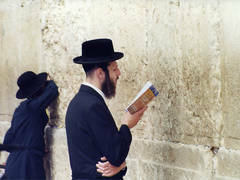 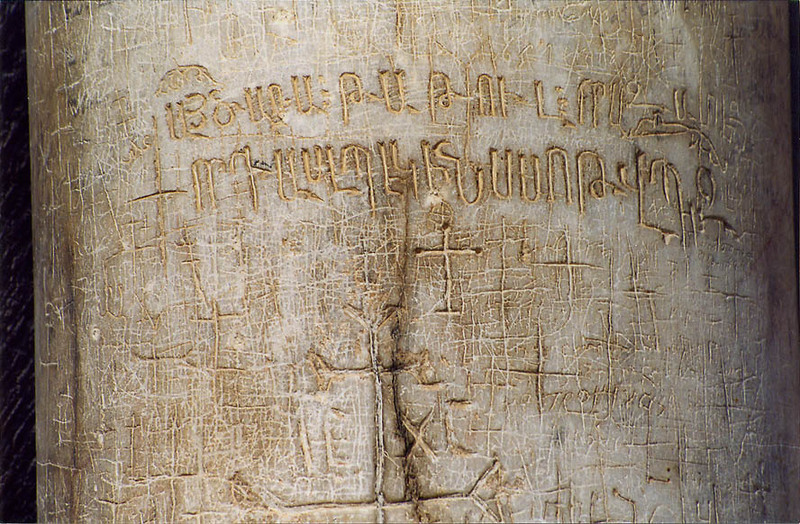 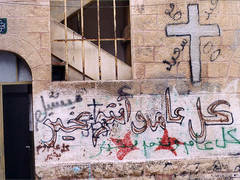 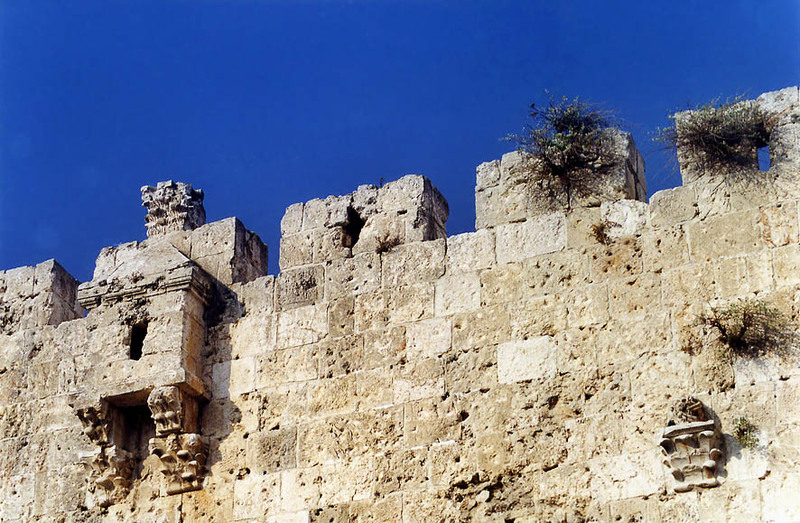 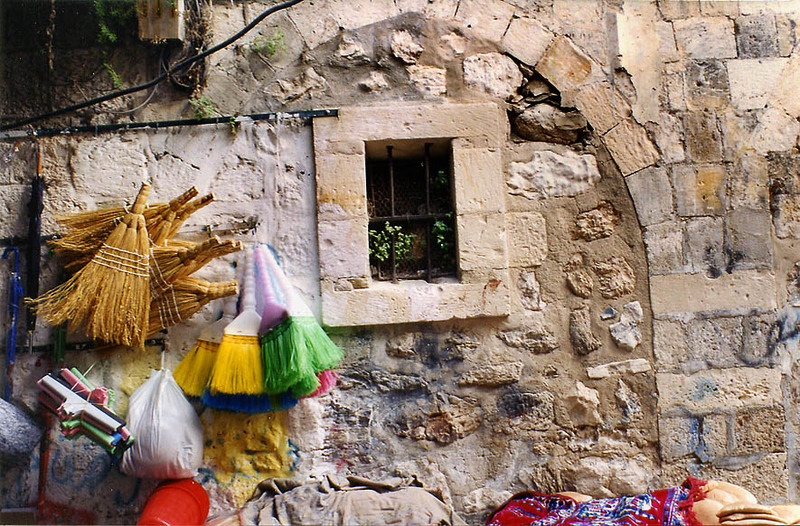 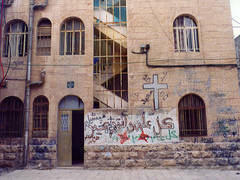 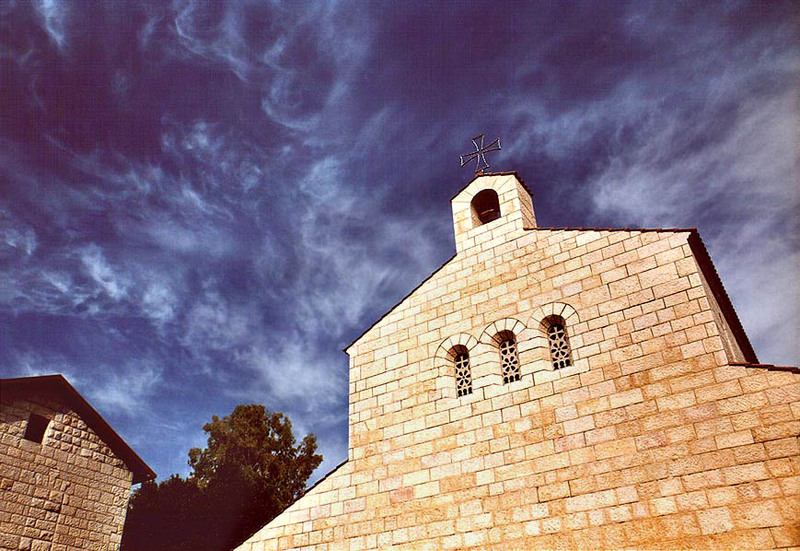 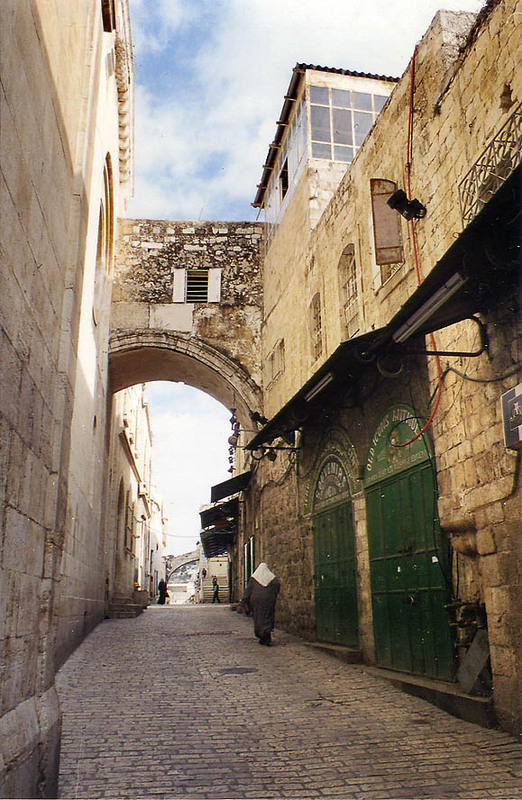 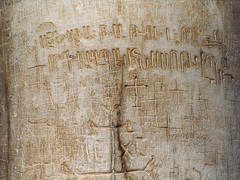 Jerusalem, the Middle East, December 13, 2002. 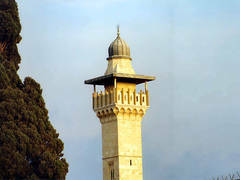 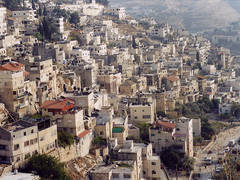 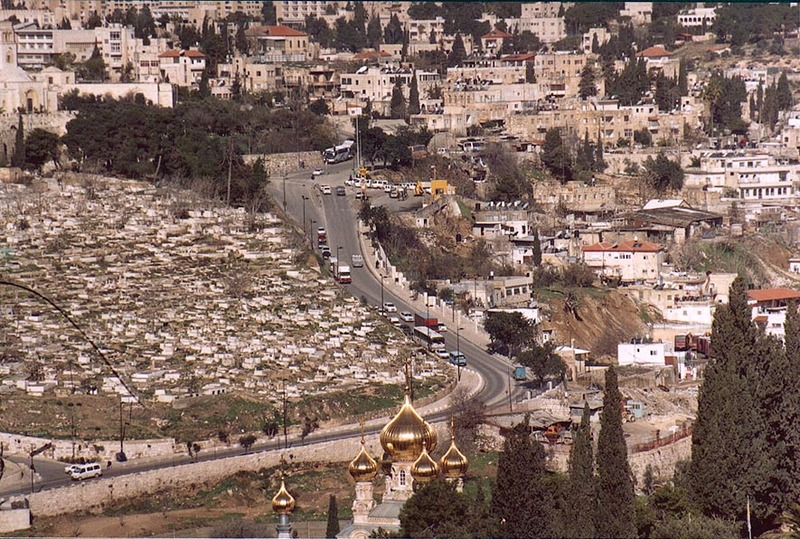 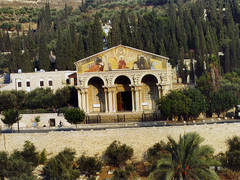 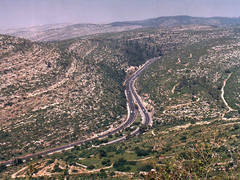 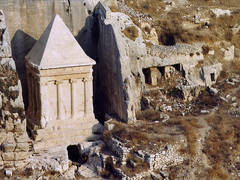 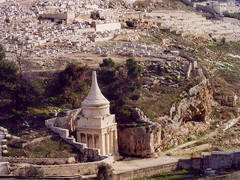 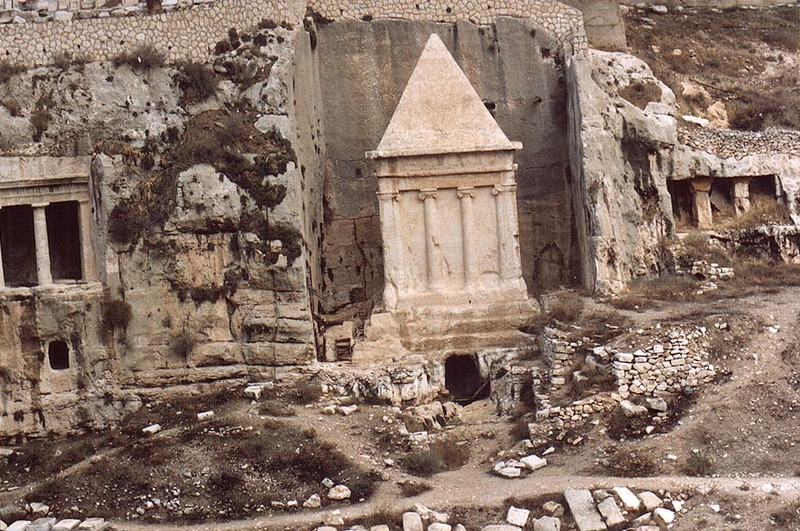 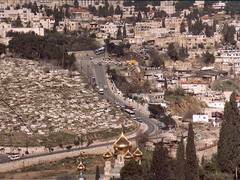 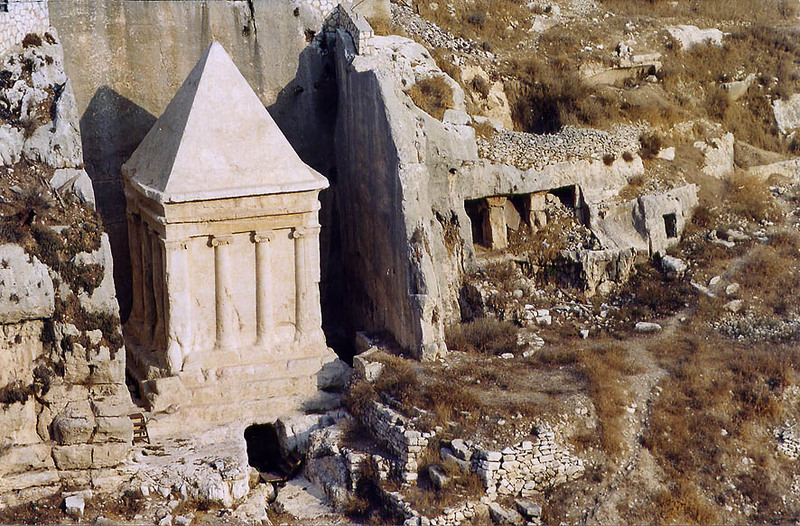 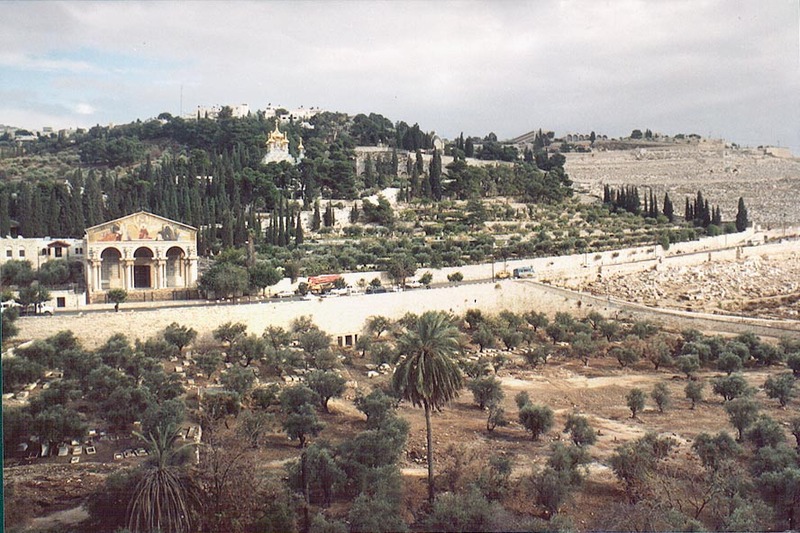 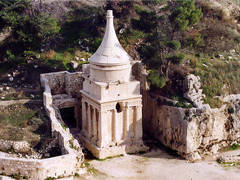 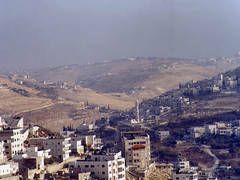 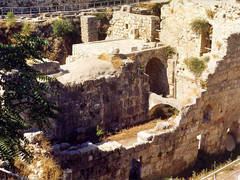 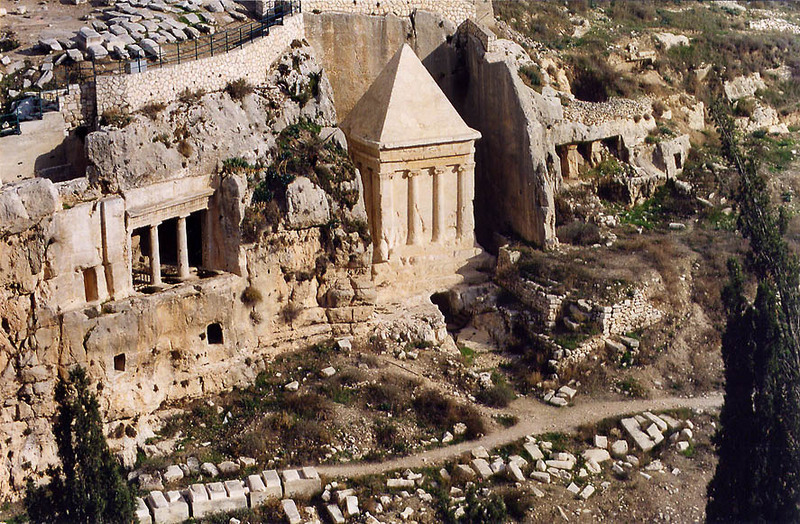 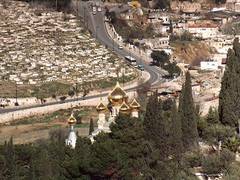 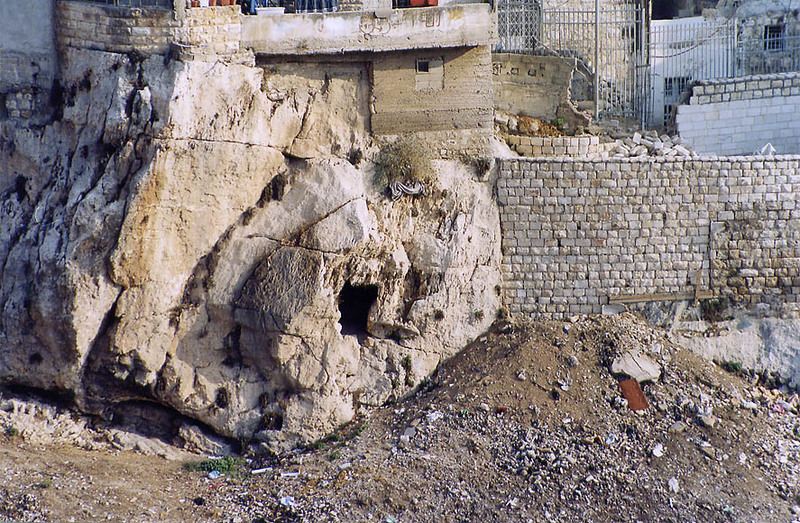 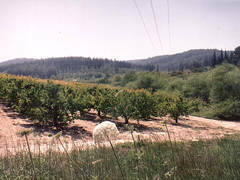 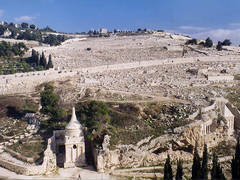 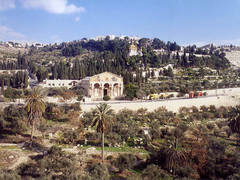 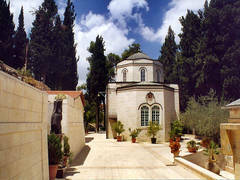 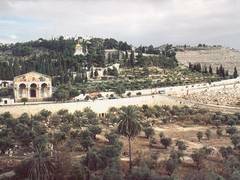 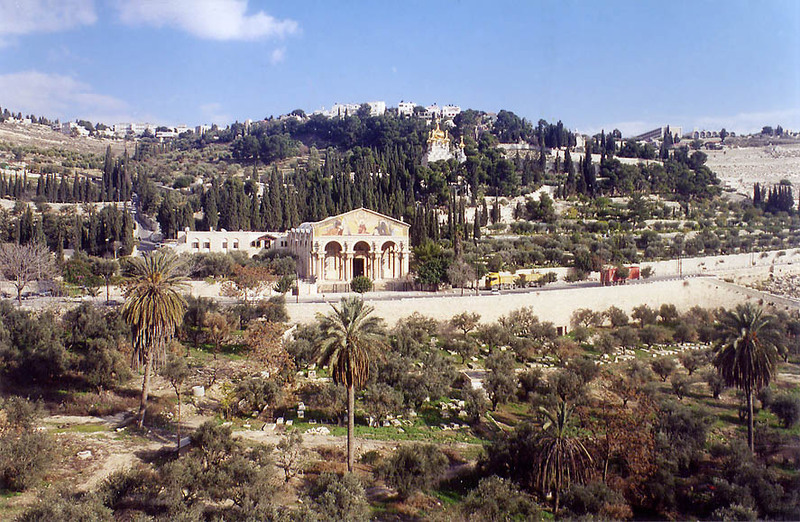 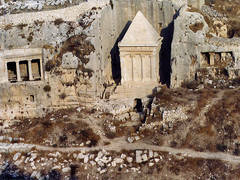 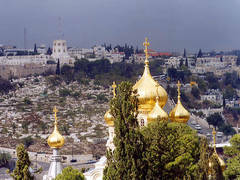 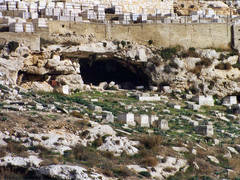 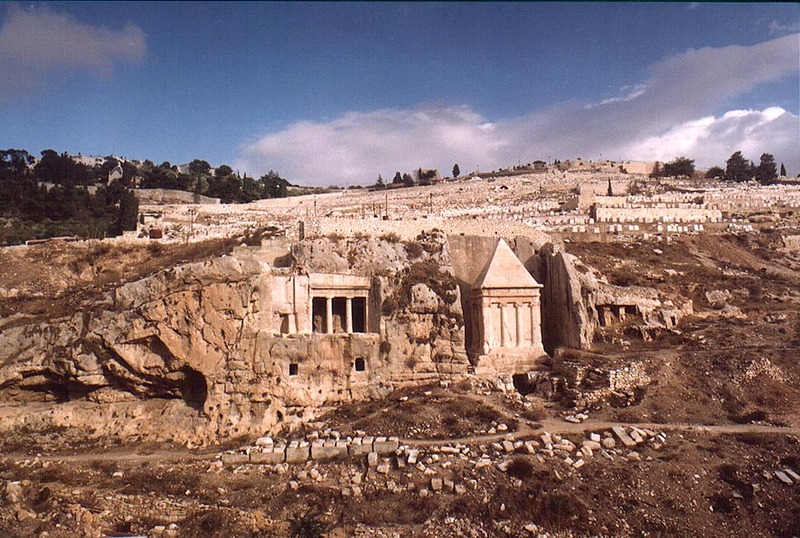 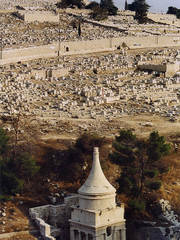 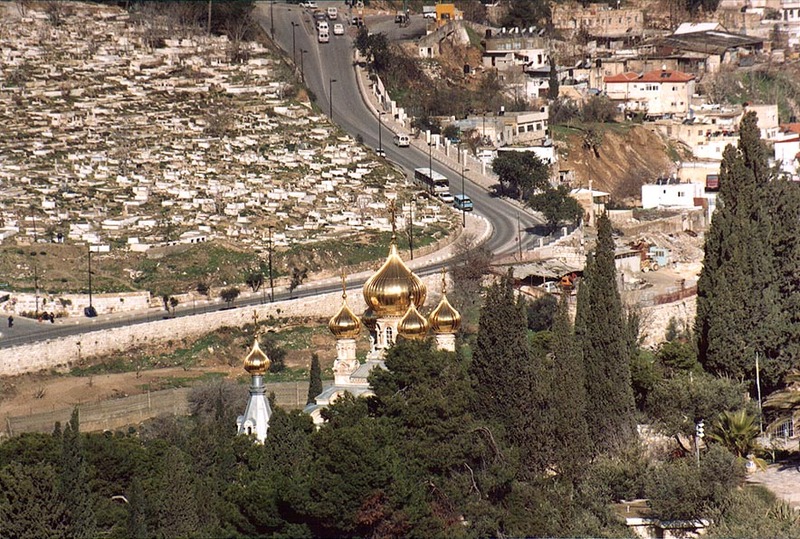 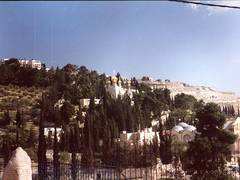 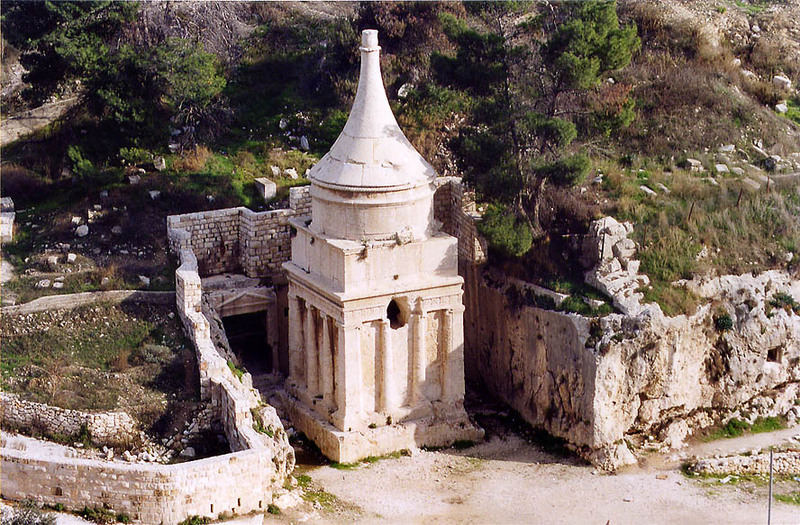 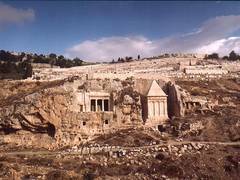 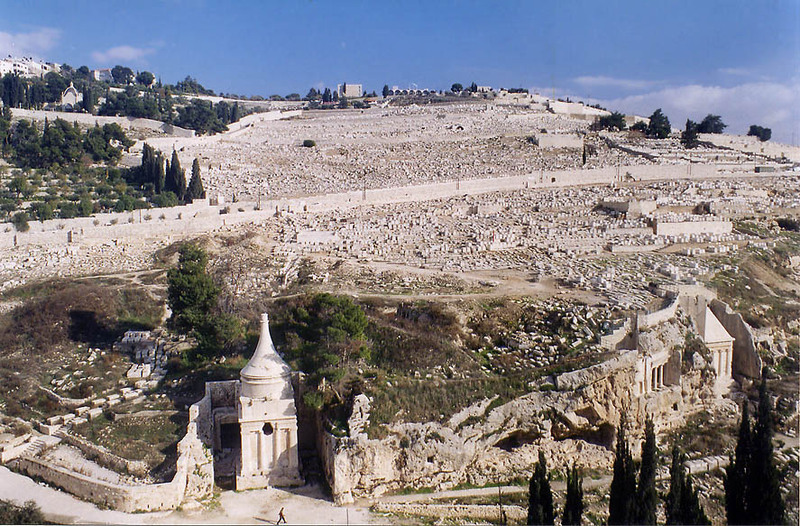 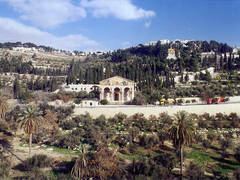 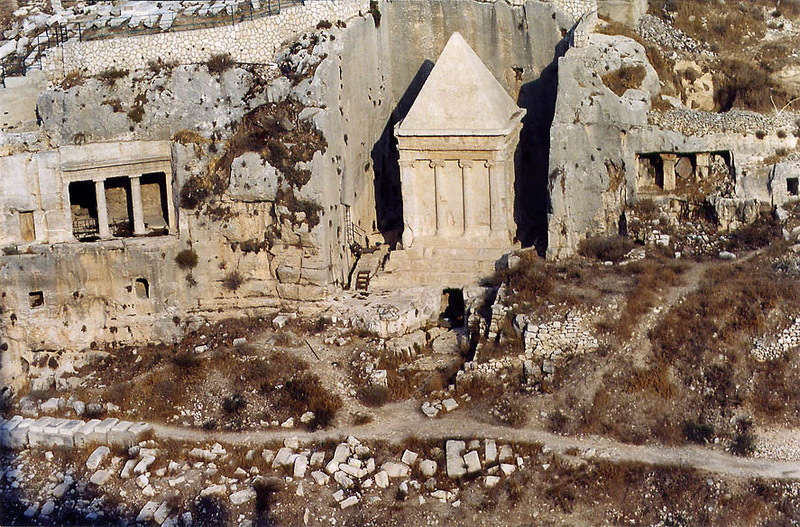 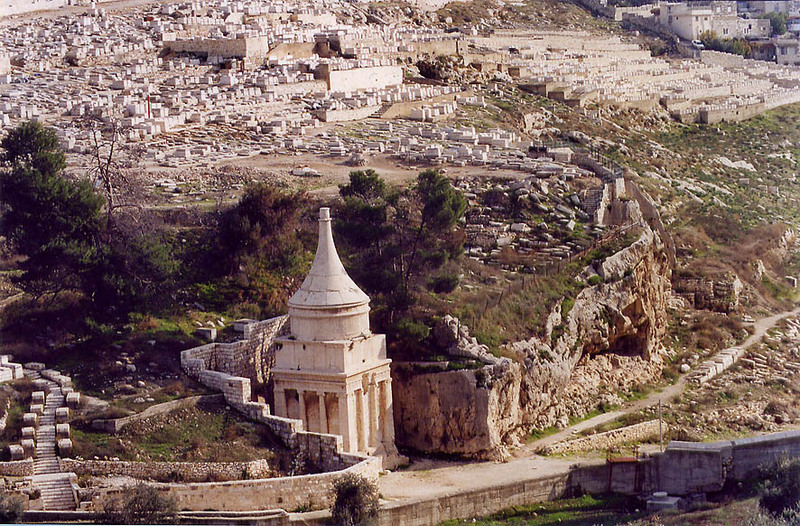 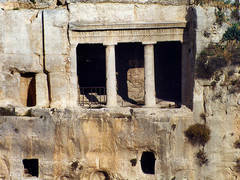 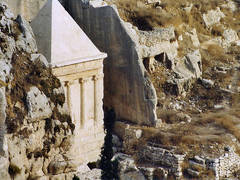 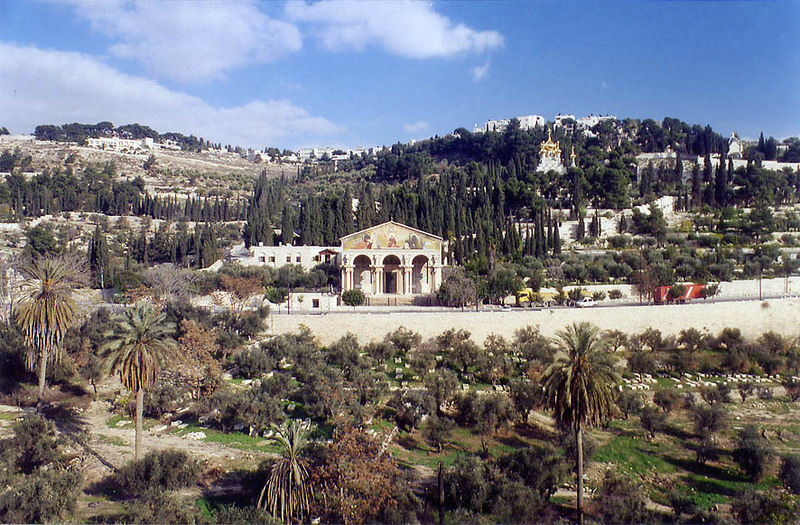 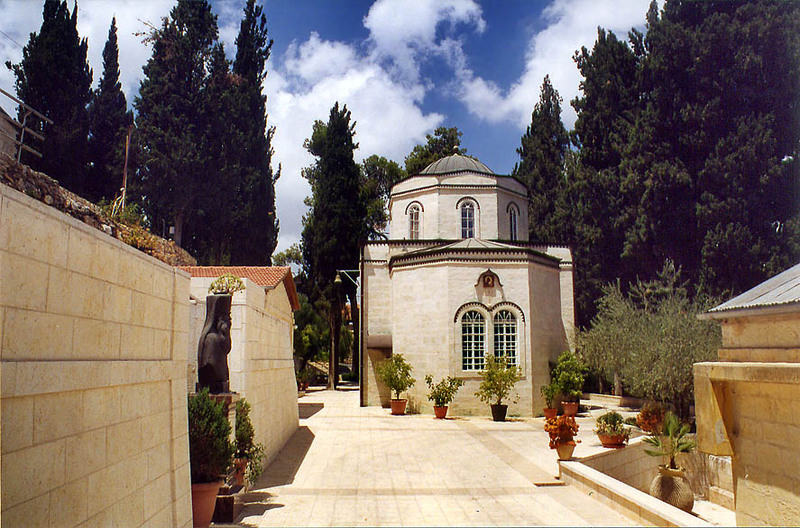 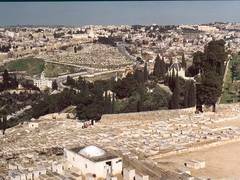 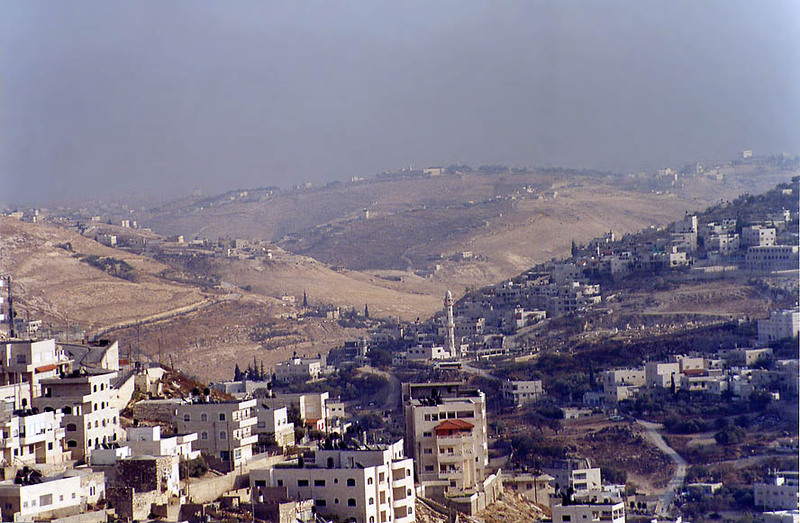 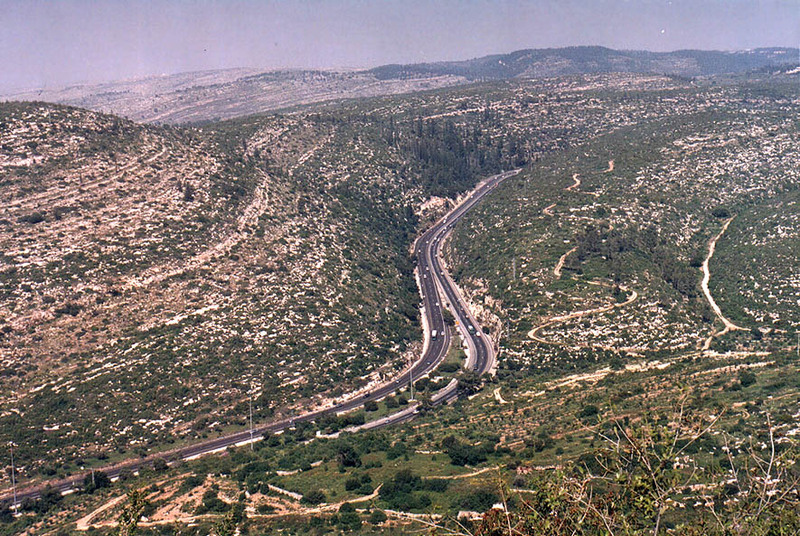 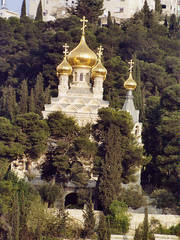 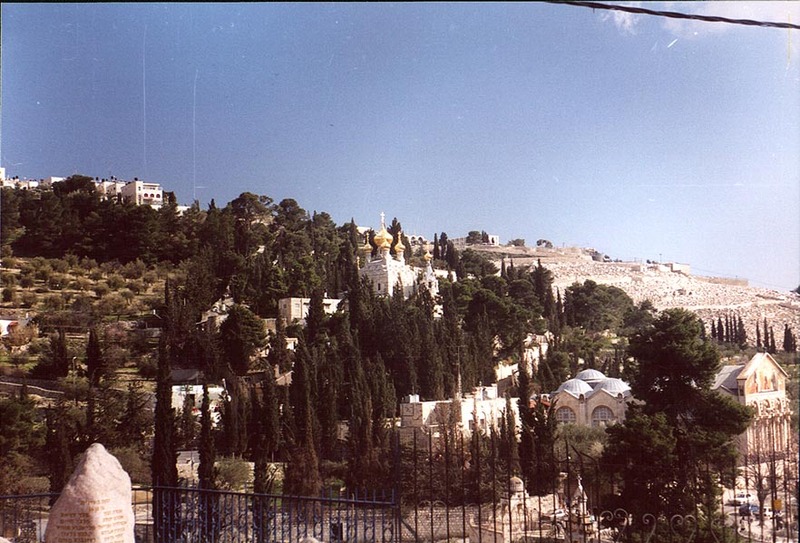 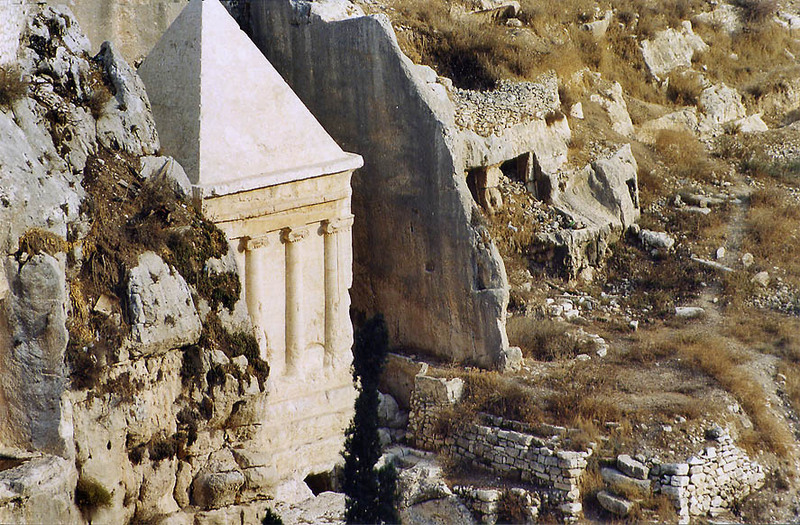 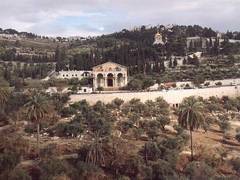 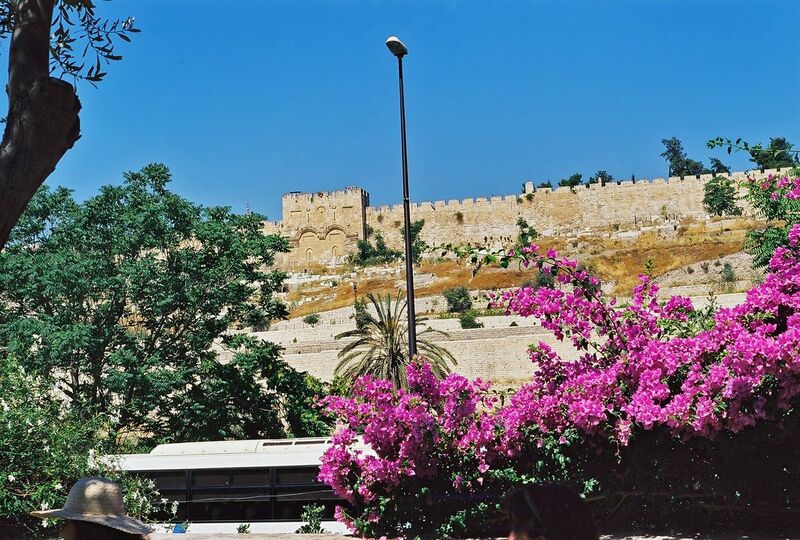 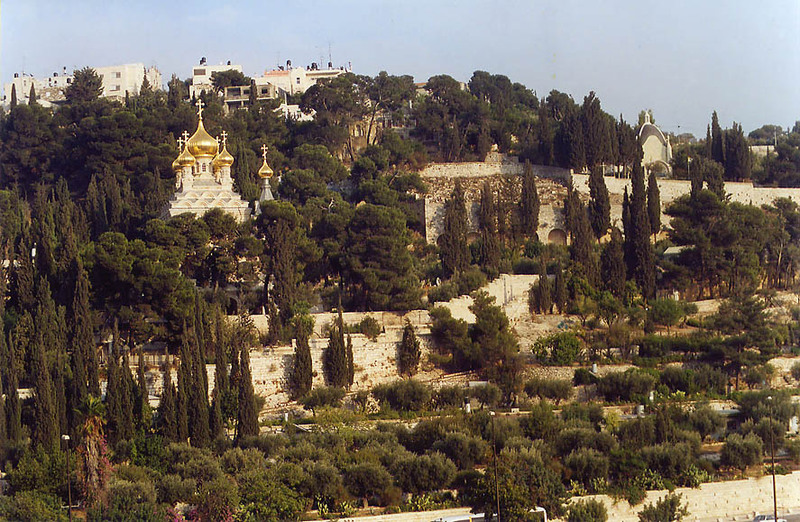 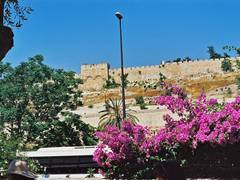 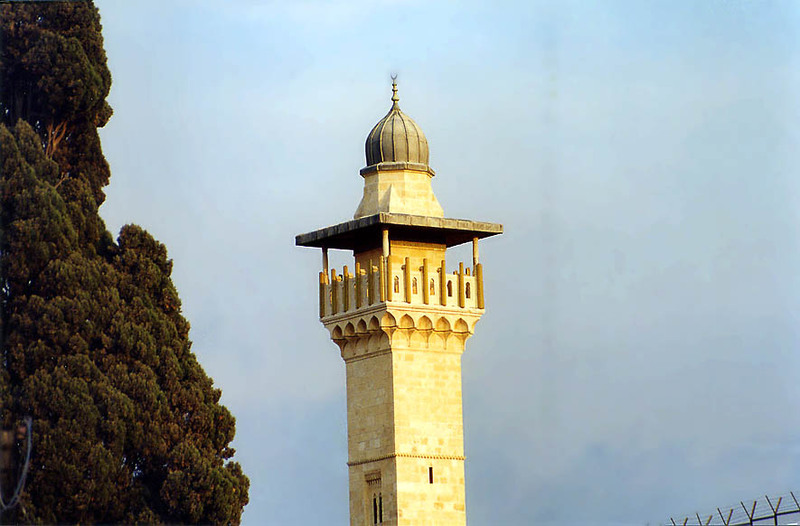 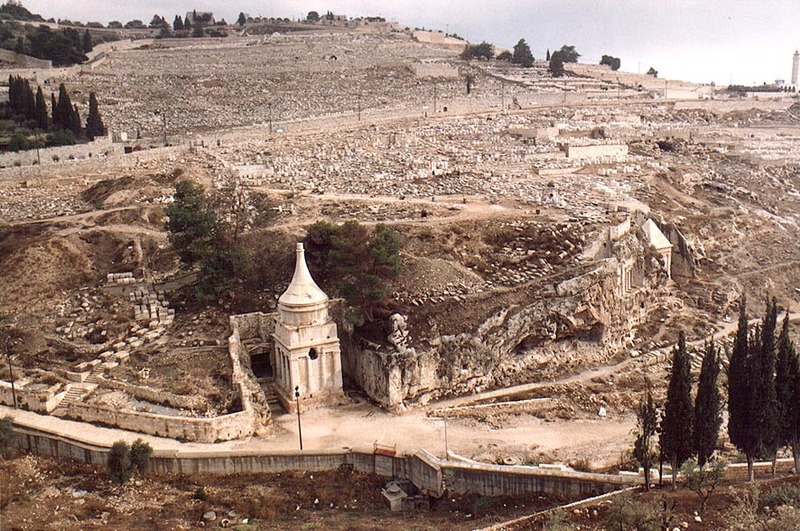 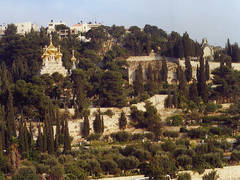 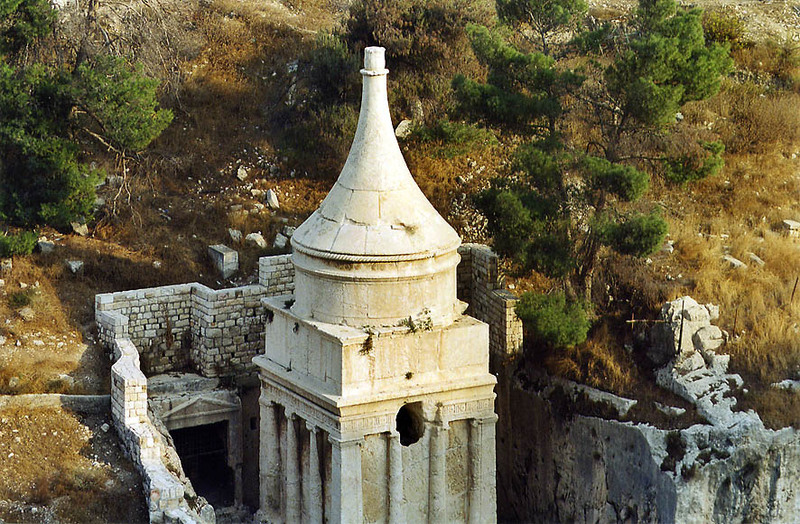 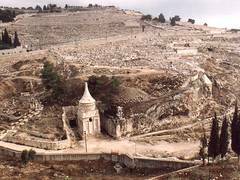 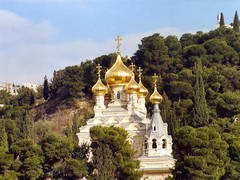 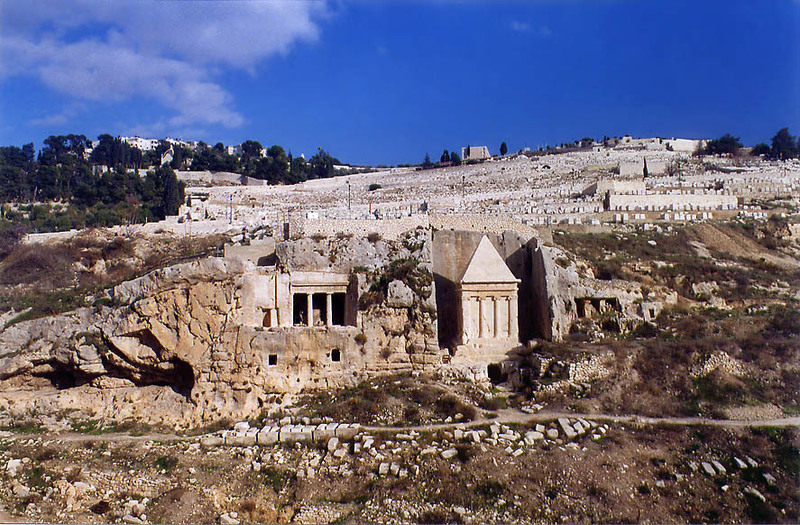 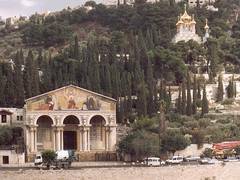 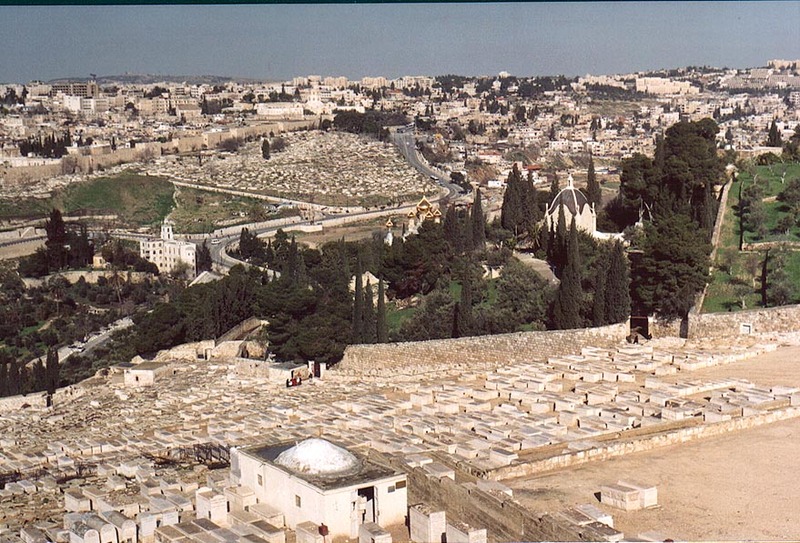 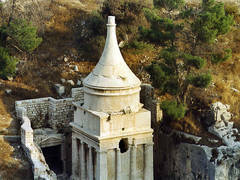 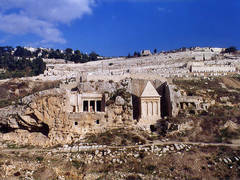 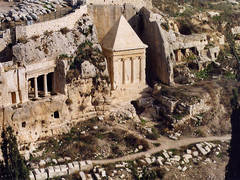 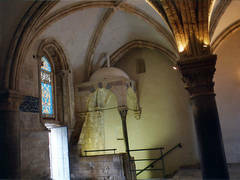 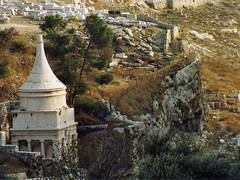 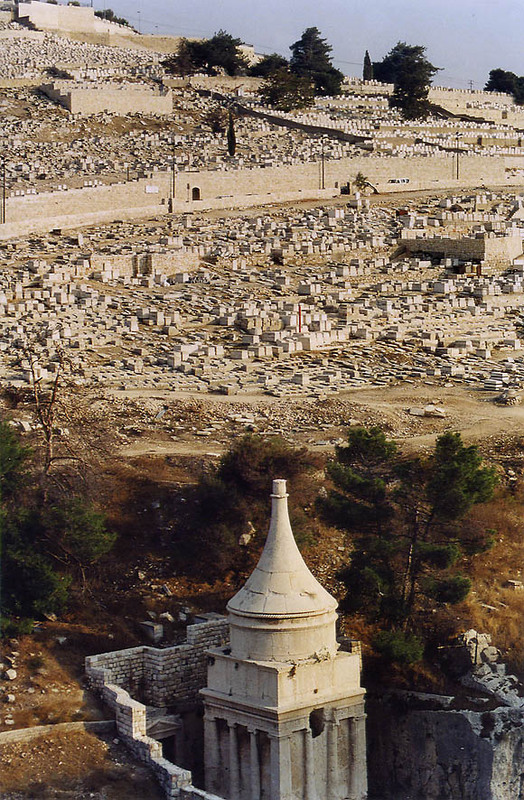 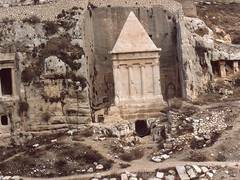 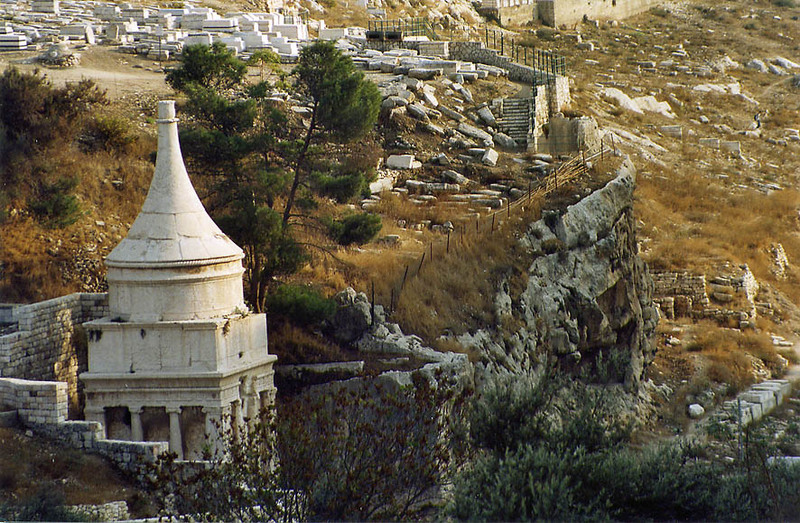 Tomb of the Sons of Hezir and Tomb of Zechariah (Pyramid of Zacharias) in Kidron Valley, view from Derekh Ha Ofel road. 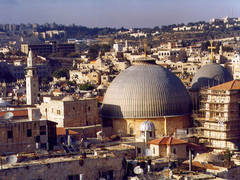 Jerusalem, the Middle East, December 13, 2002.